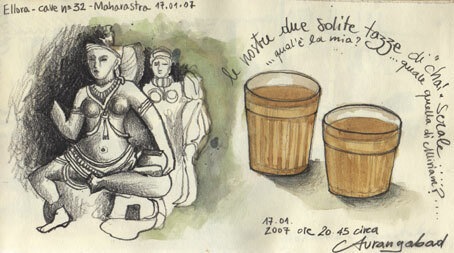 In 2005 for the first time I visited India: it was my first contact outside the European continent and for me India was love at first sight. 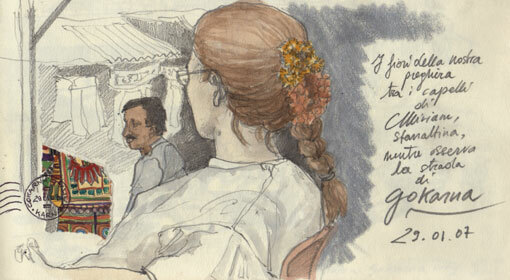 Since then I have continued to travel in Asia in all the following years, often leaving Europe for several months. 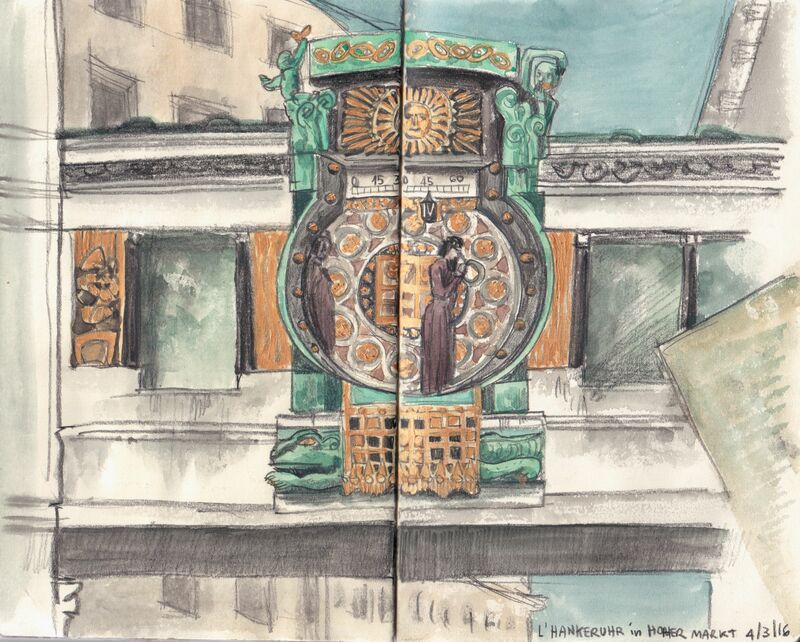 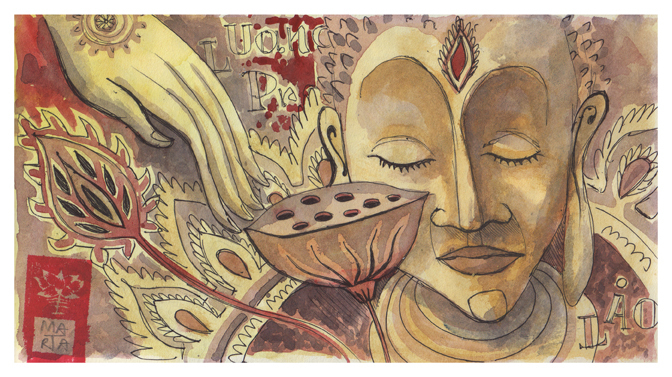 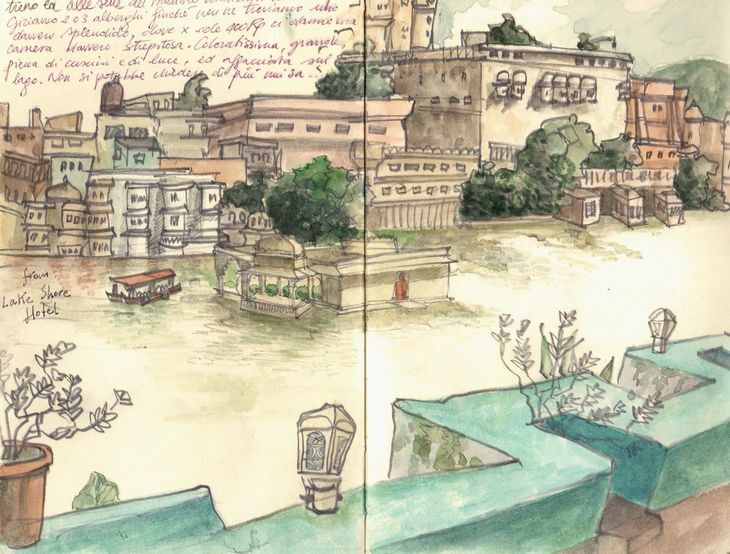 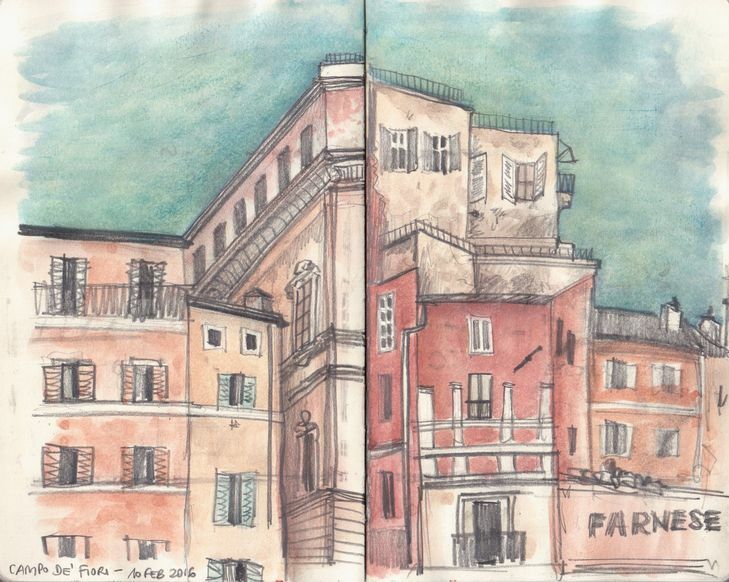 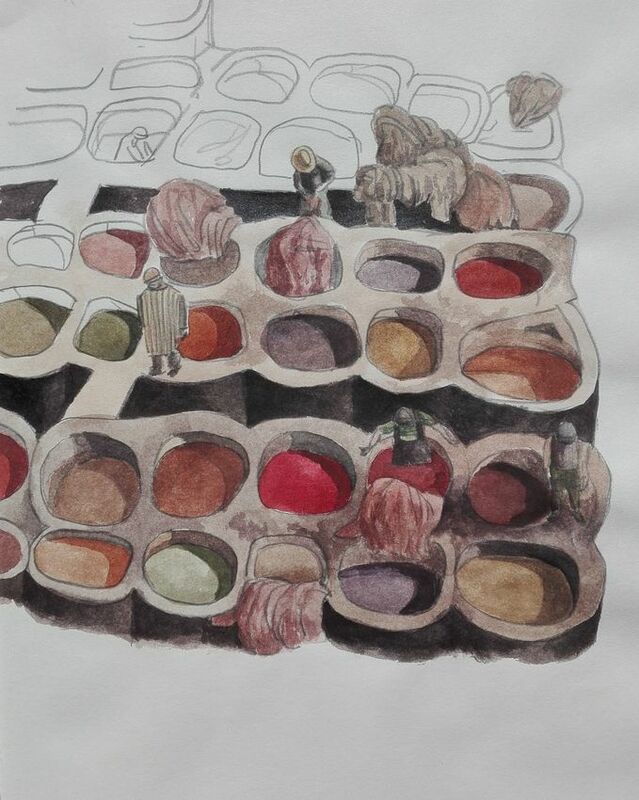 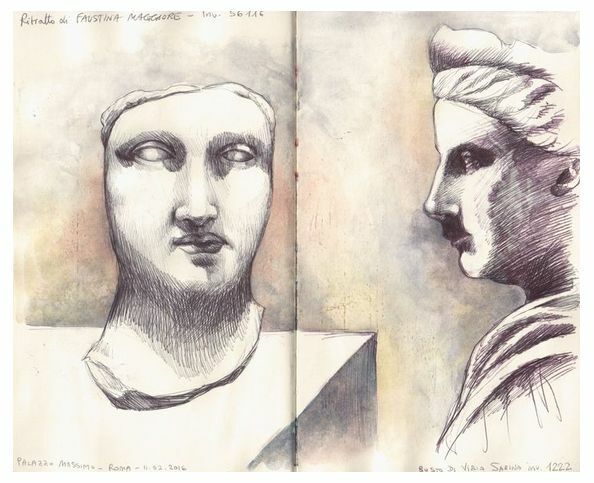 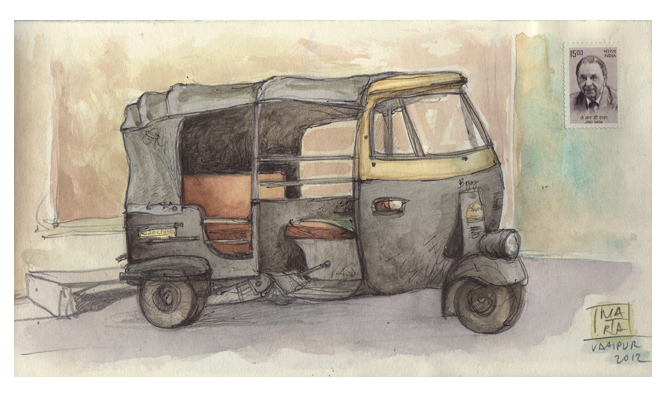 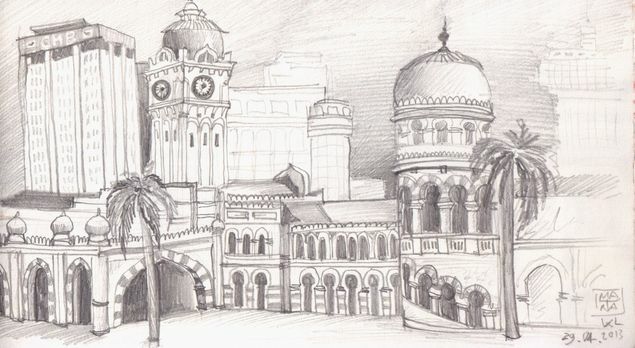 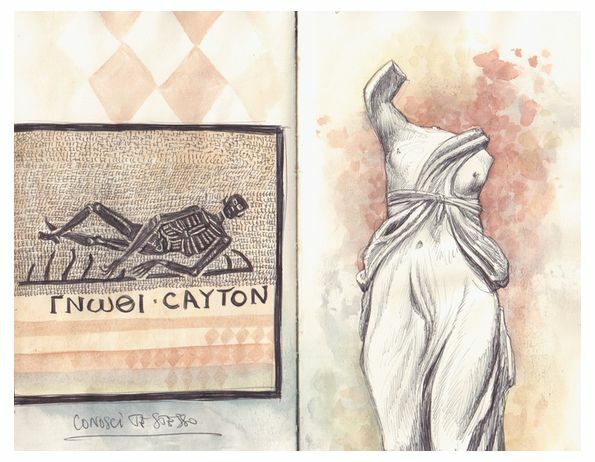 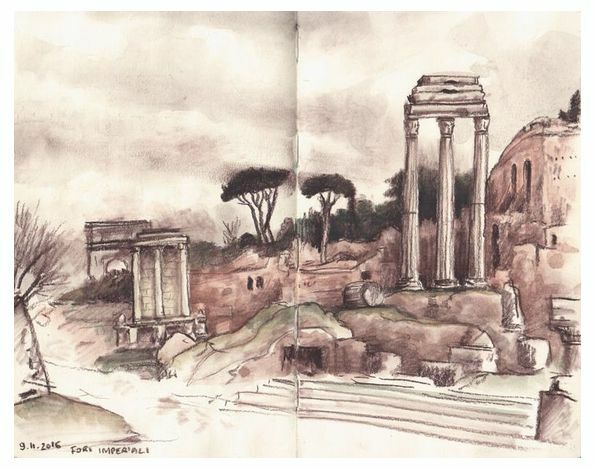 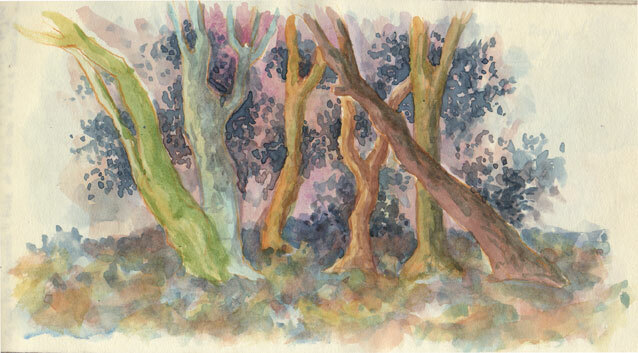 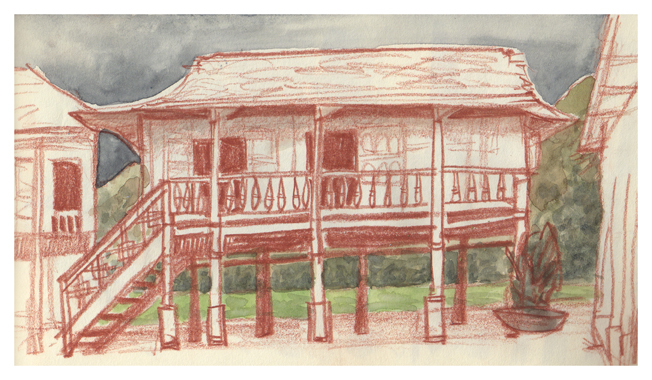 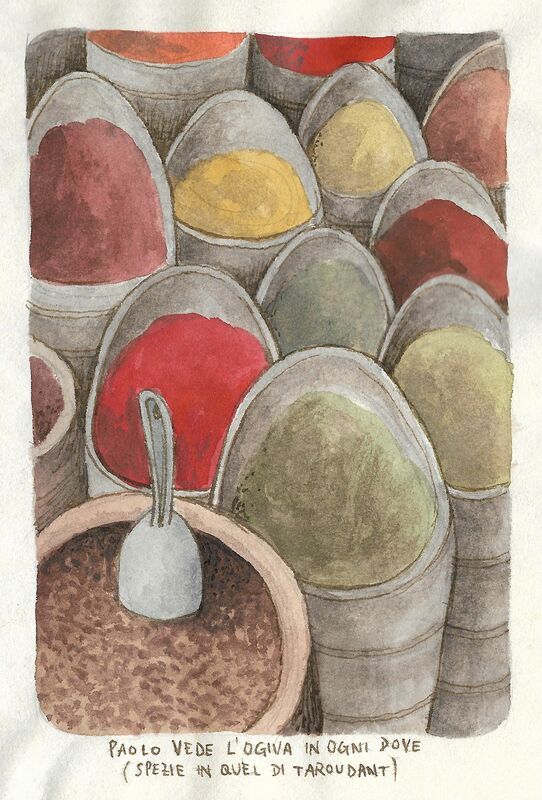 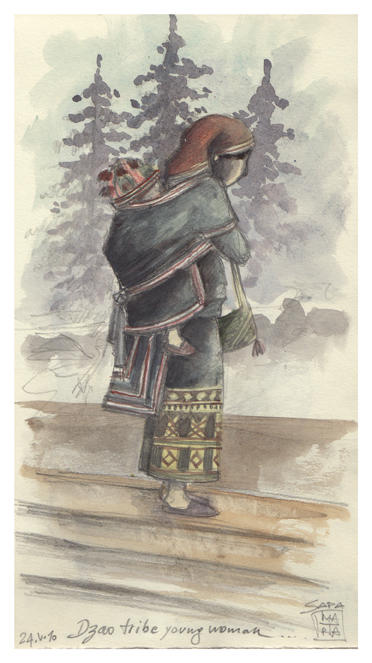 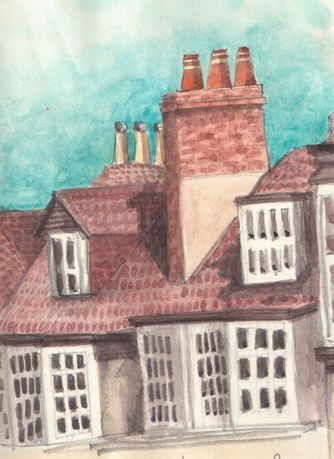 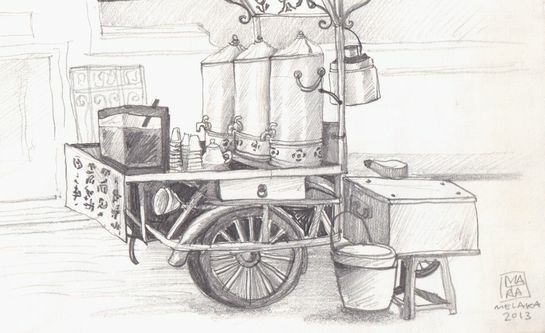 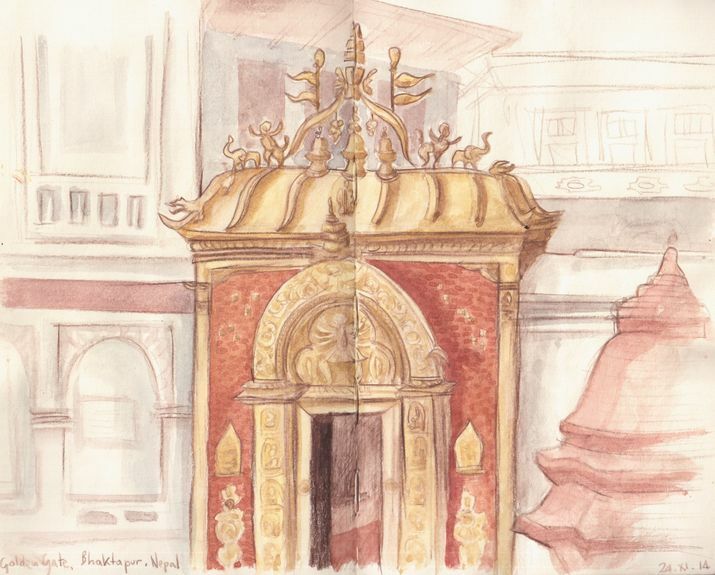 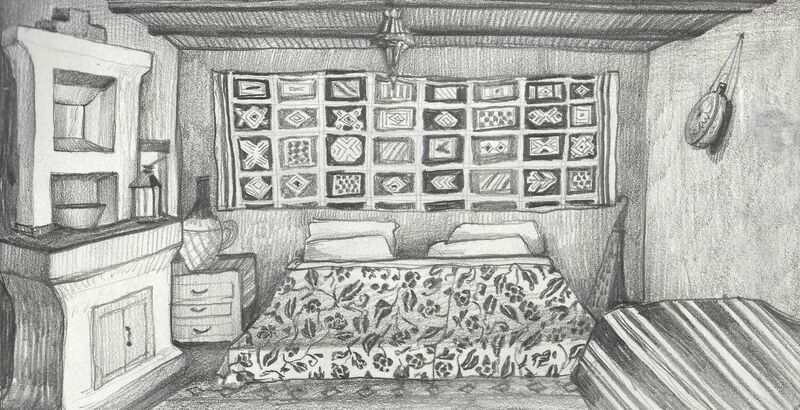 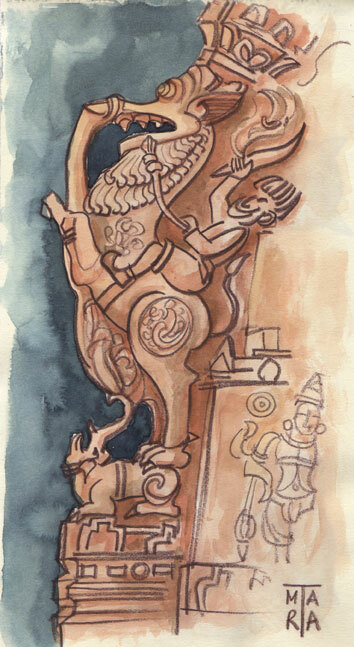 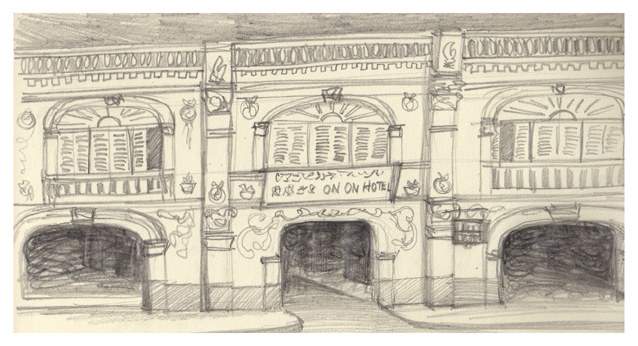 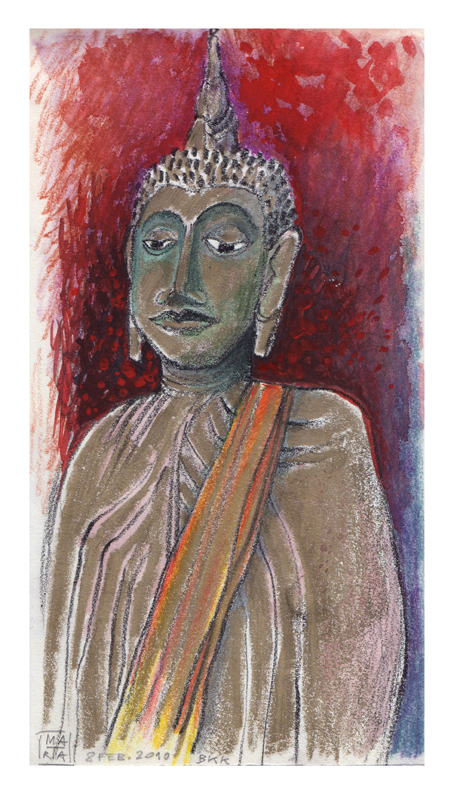 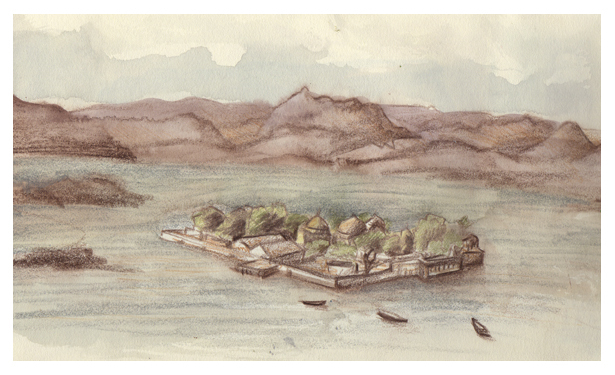 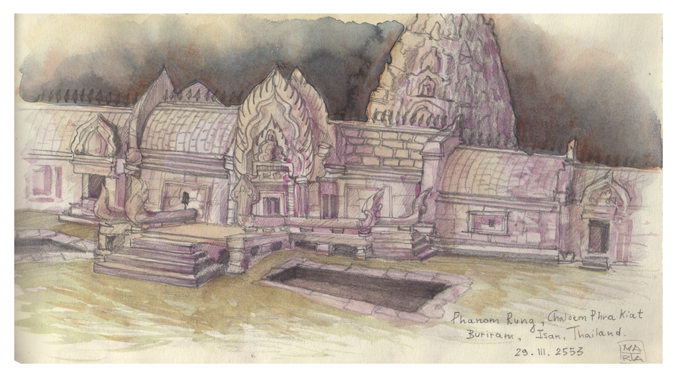 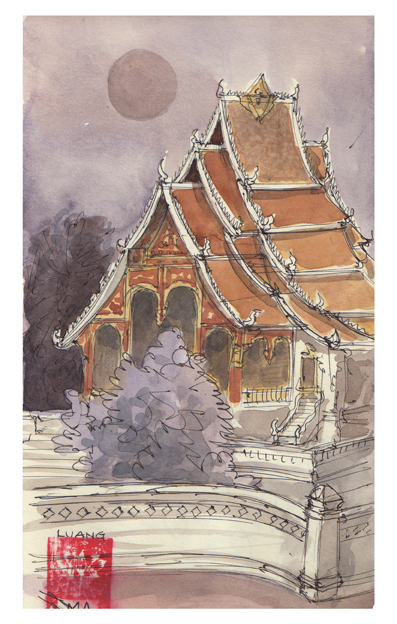 In 2010 I travelled continuously throughout the year, visiting slowly many different country of south east Asia and bringing with me my sketchbooks and my inseparable watercolors. 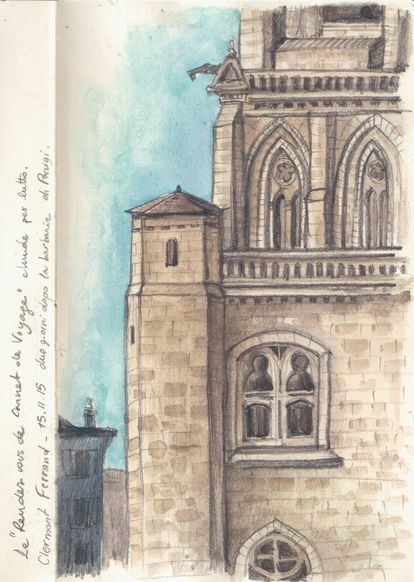 In 2015 I have been selected to exhibit my carnets at the most important meeting in Europe for artists who create travel drawings, which is the “Rendez Vous du Carnets de Voyage” of Clermont Ferrand, in France (at this link you can see my own page on their official web site). 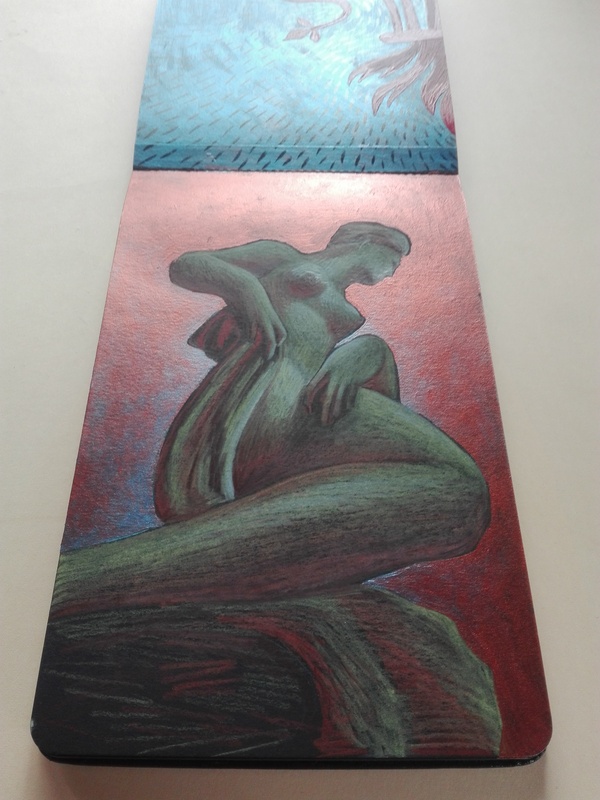 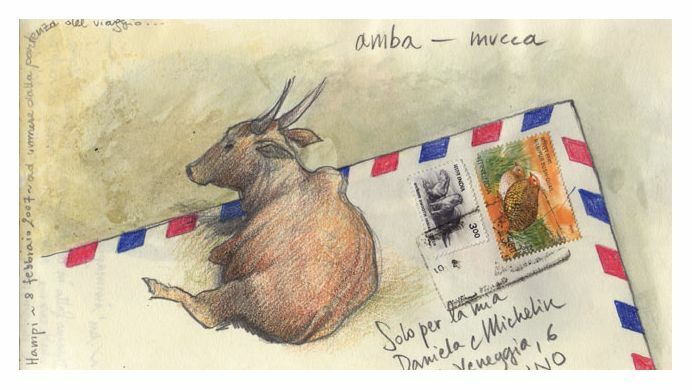 I also exhibit my carnets at: “Matite in Viaggio” at Centro Culturale Candiani (Mestre,Venice) in 2014, 2015, and 2016; at “Diari di Viaggio Festival” Palazzo della Racchetta (Ferrara) in may 2016; at “Festival du Carnet de Voyage” of Carcassonne ( France) in june 2017. 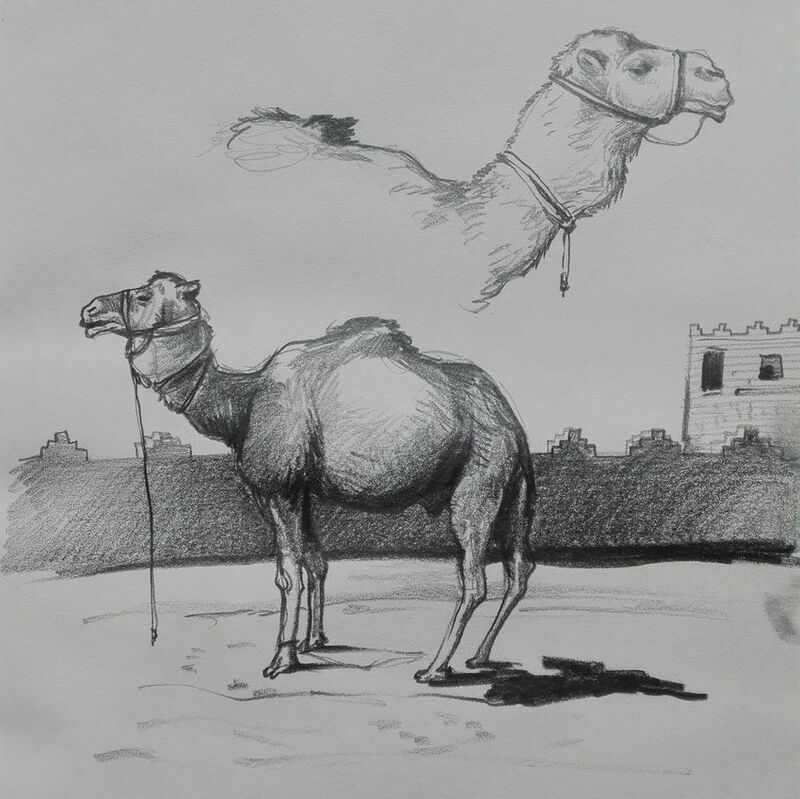 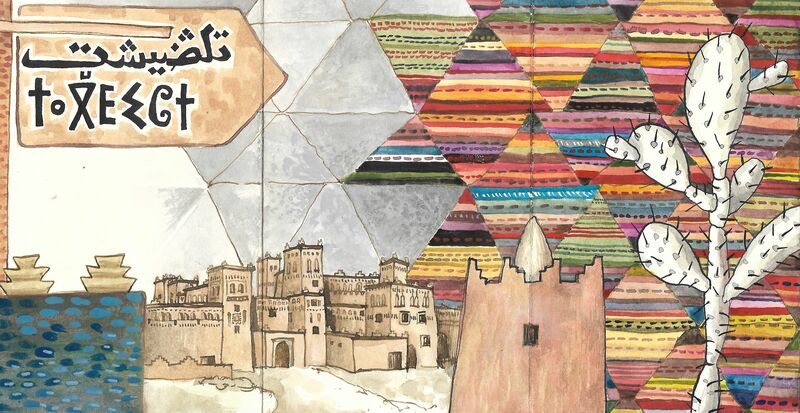 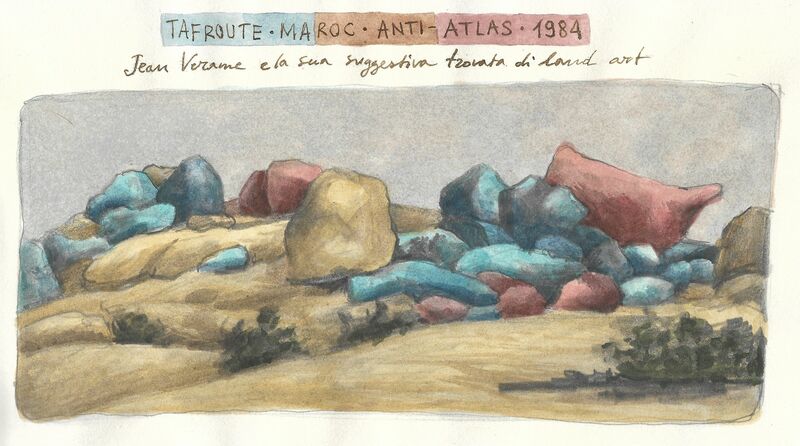 Here's the short video of my moleskine (in this case I had with me a japanese travel sketch book) wich I realized travelling in Morocco between january and march 2017. 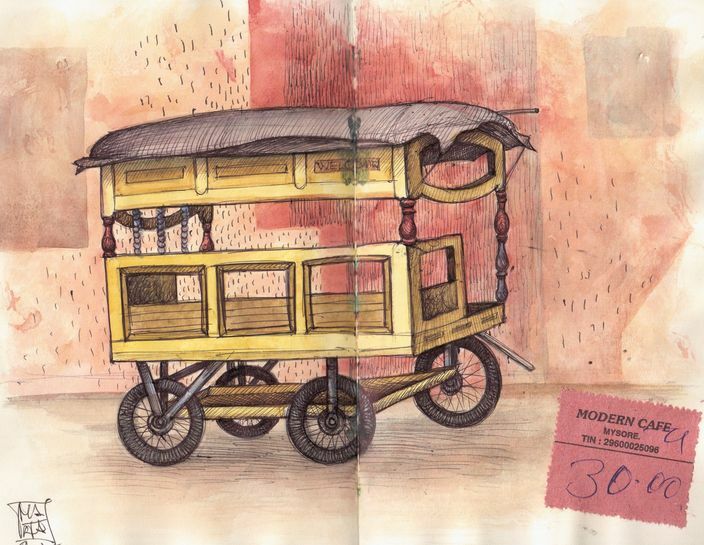 It is a long painted stripe, a "carnet de voyage" about 4 meters long! 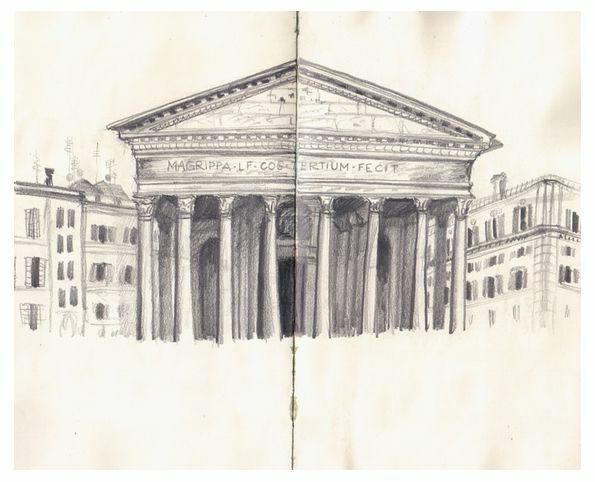 A short carnet of images of the beautiful city of Florence, its churches and its architectures unique in the world, as well as the Tuscan countryside that surrounds it. 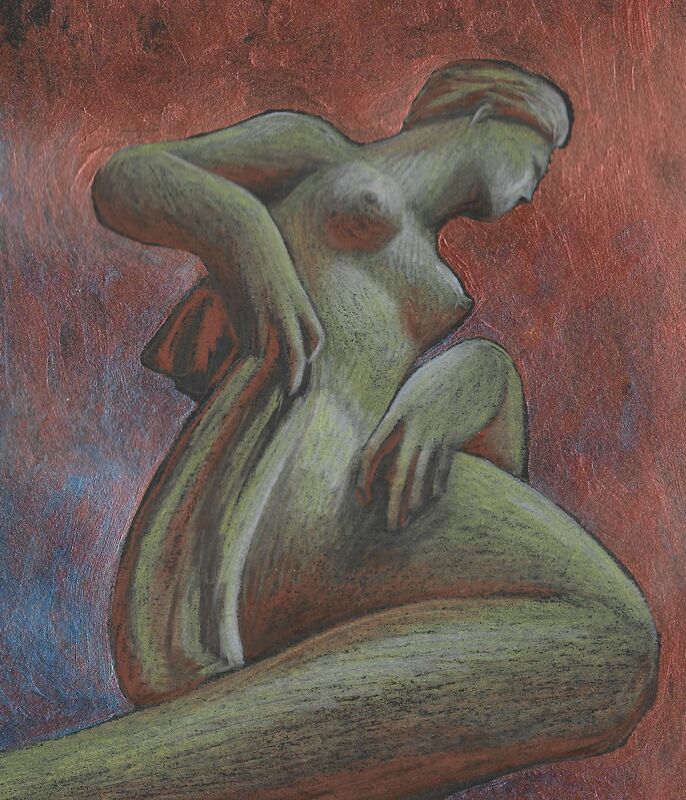 This work is made with pastels, white ink and acrylics on black rough paper. 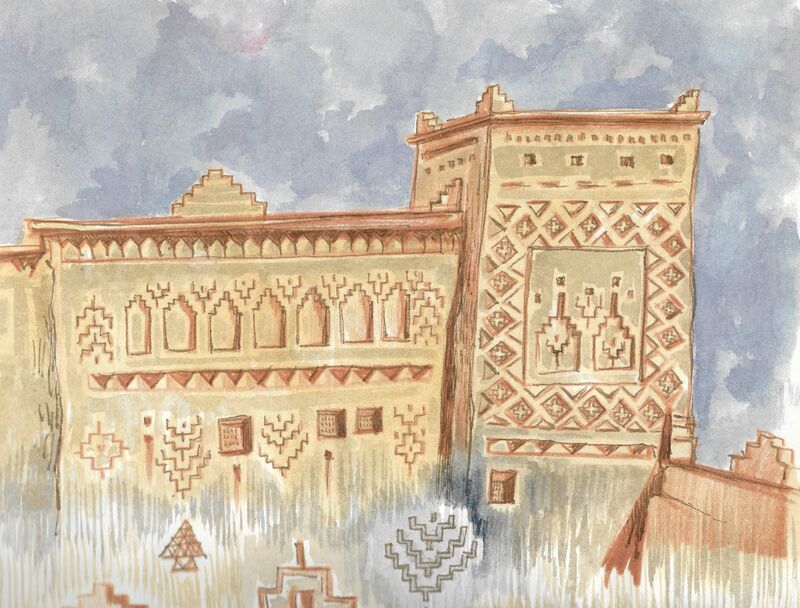 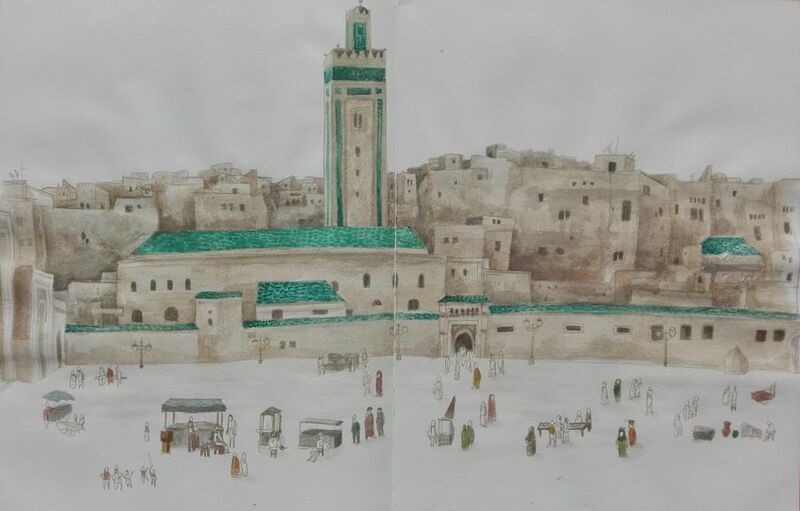 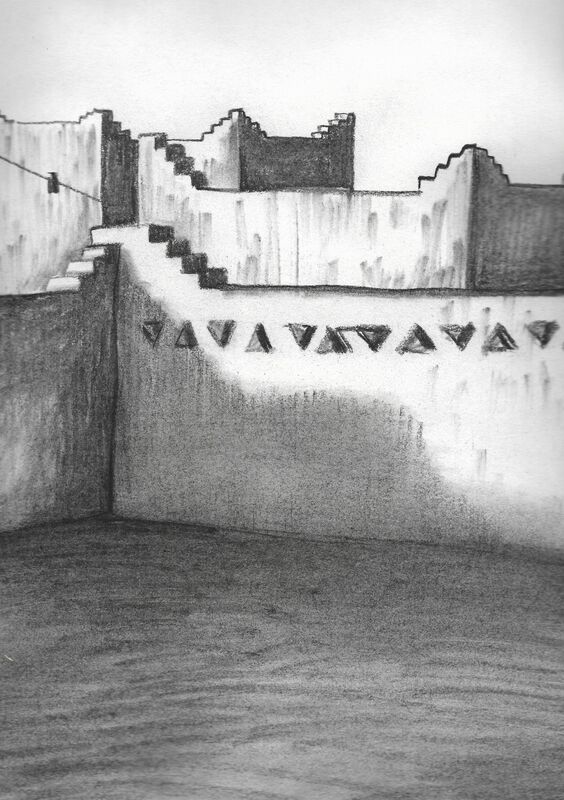 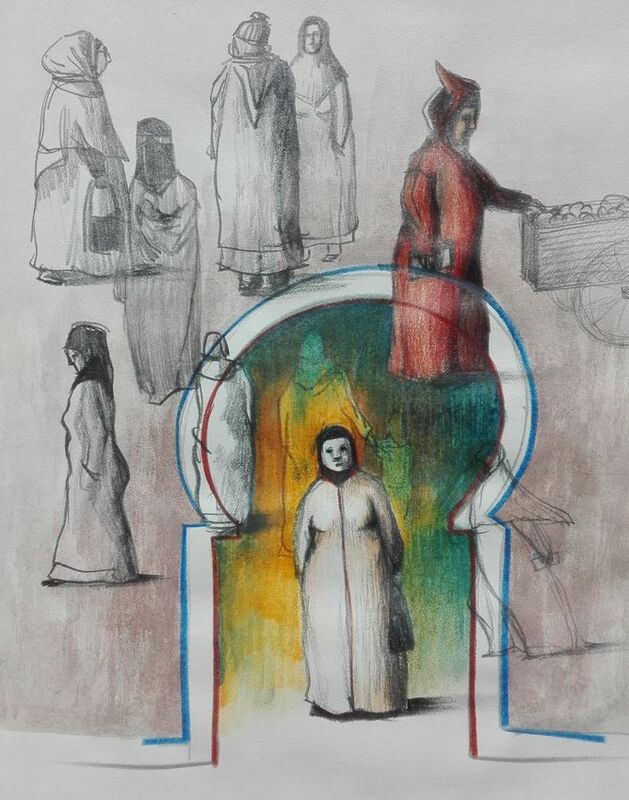 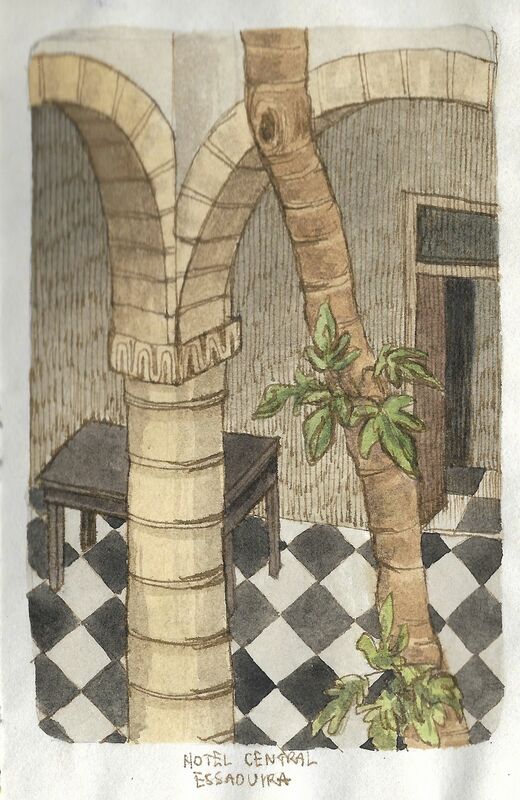 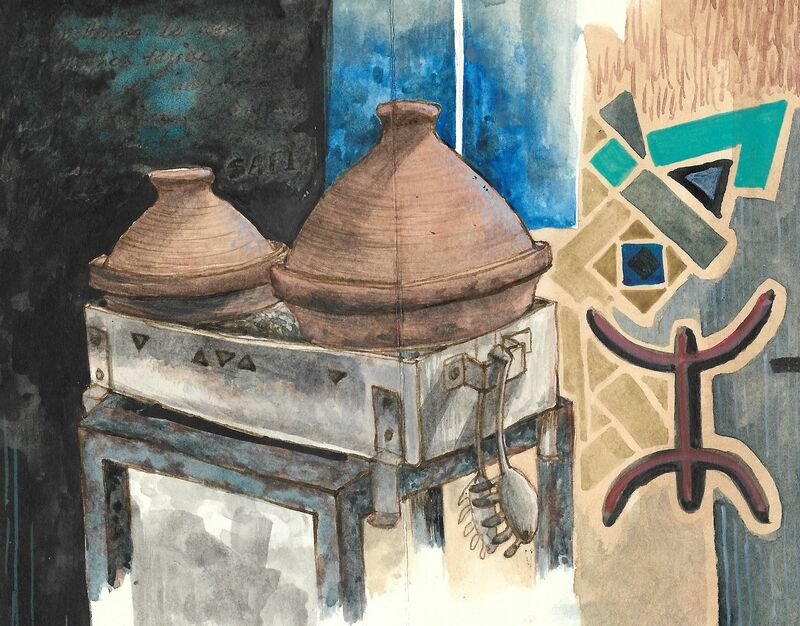 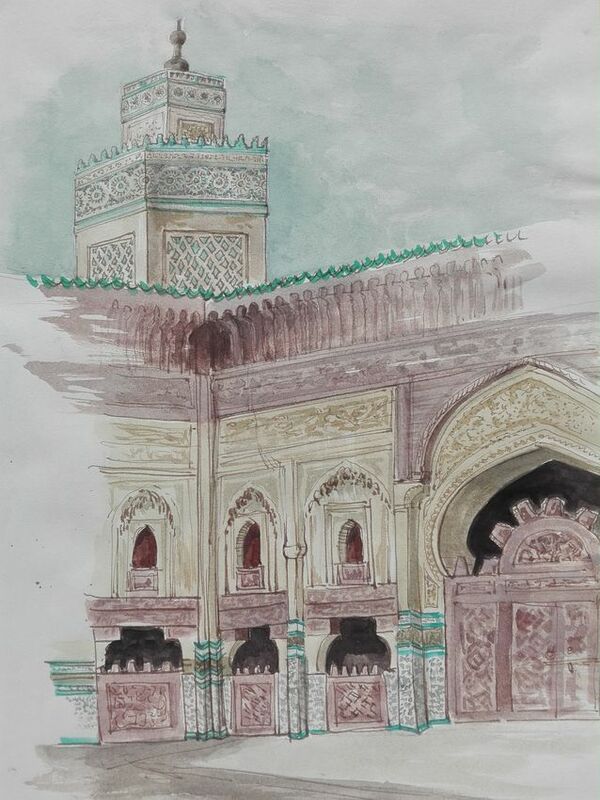 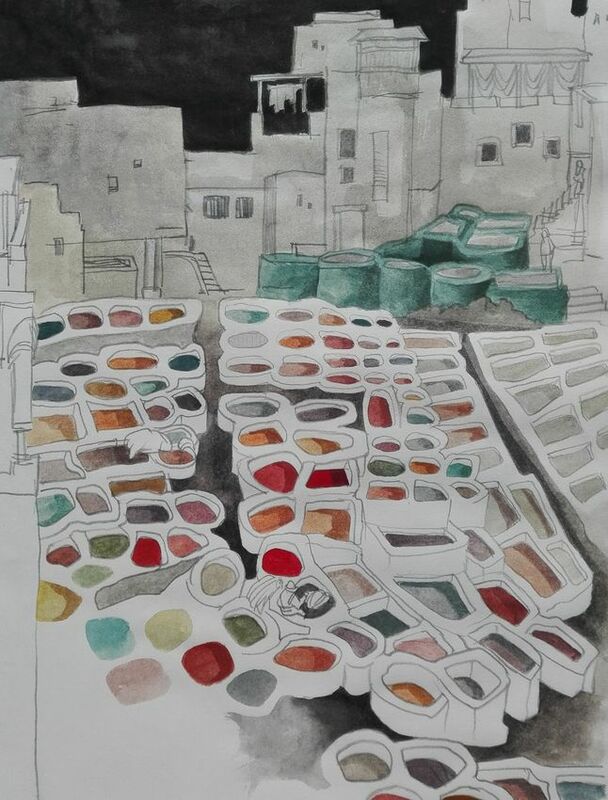 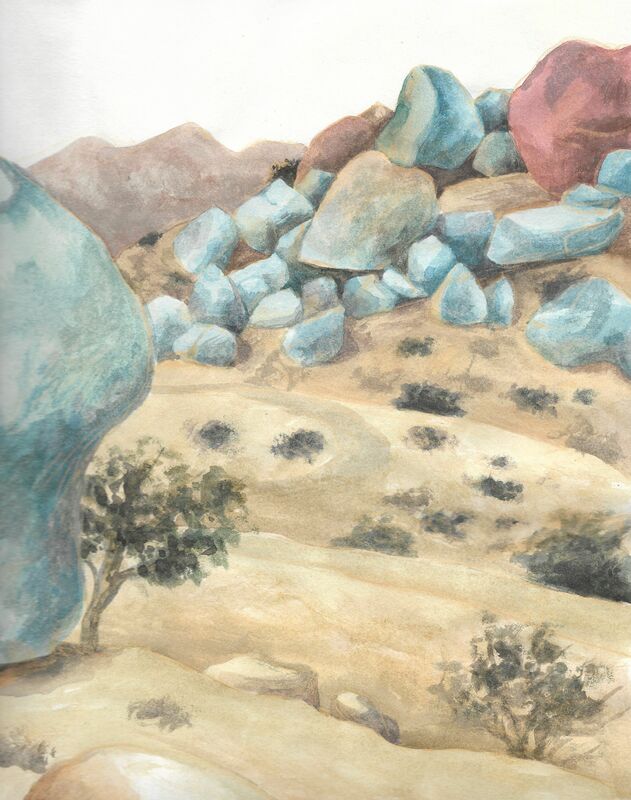 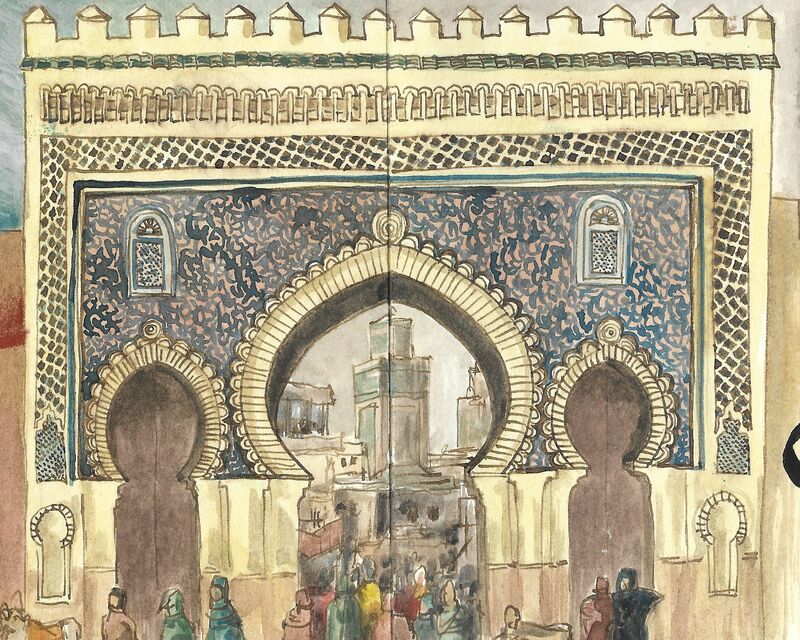 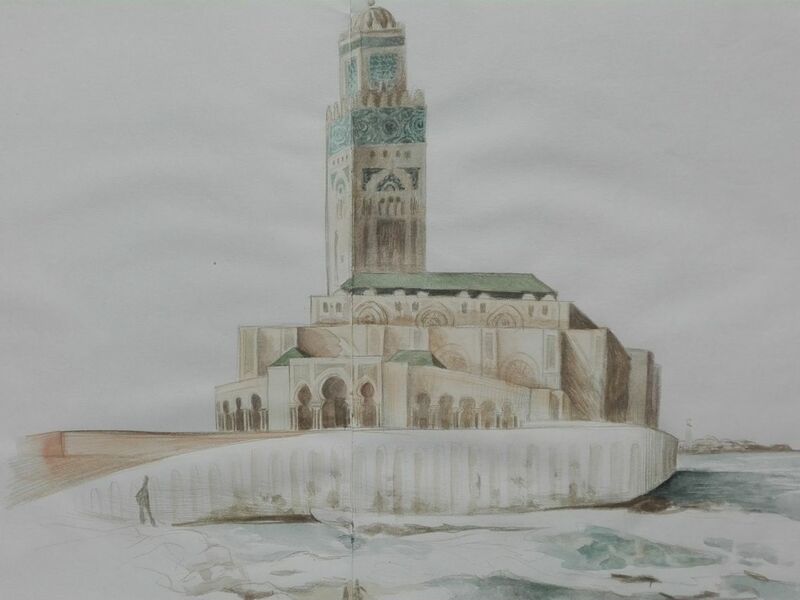 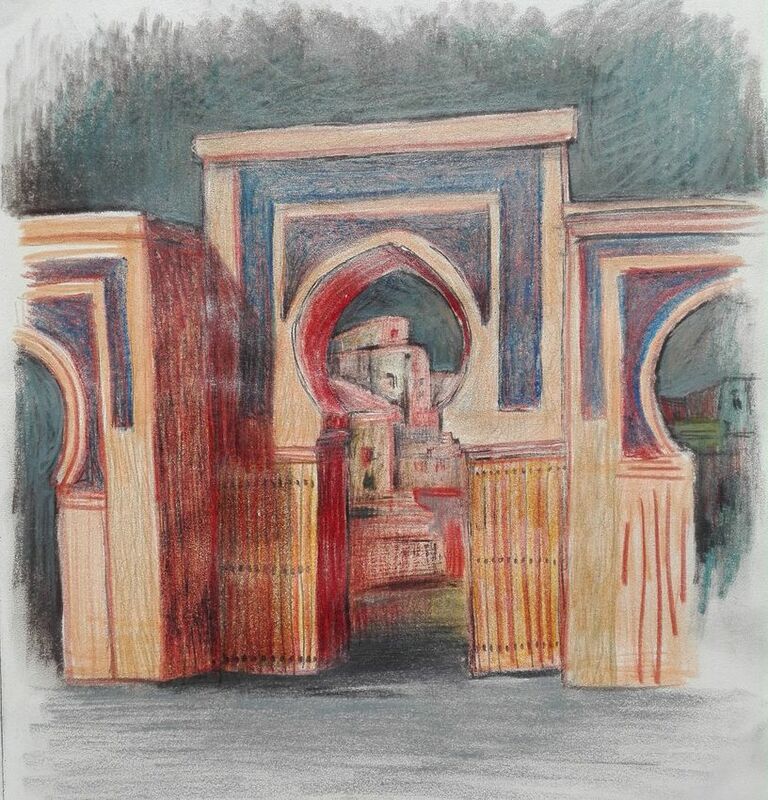 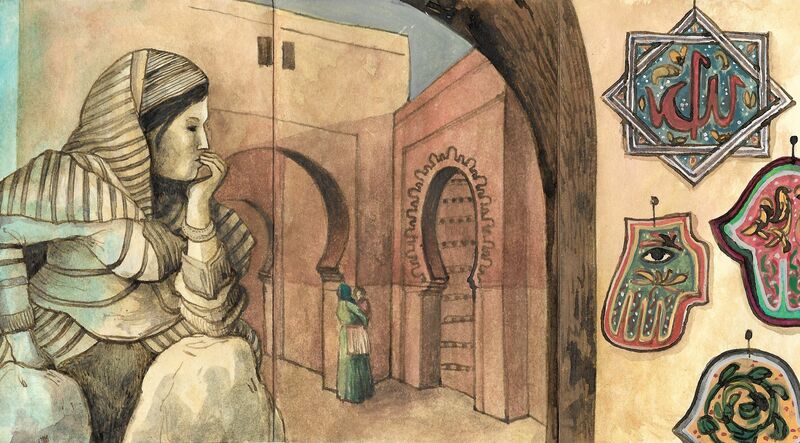 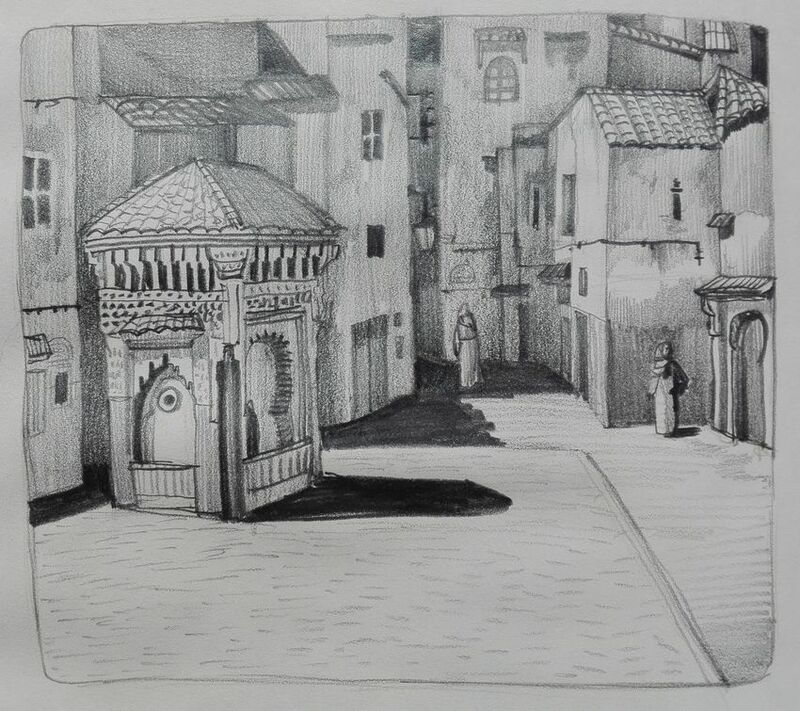 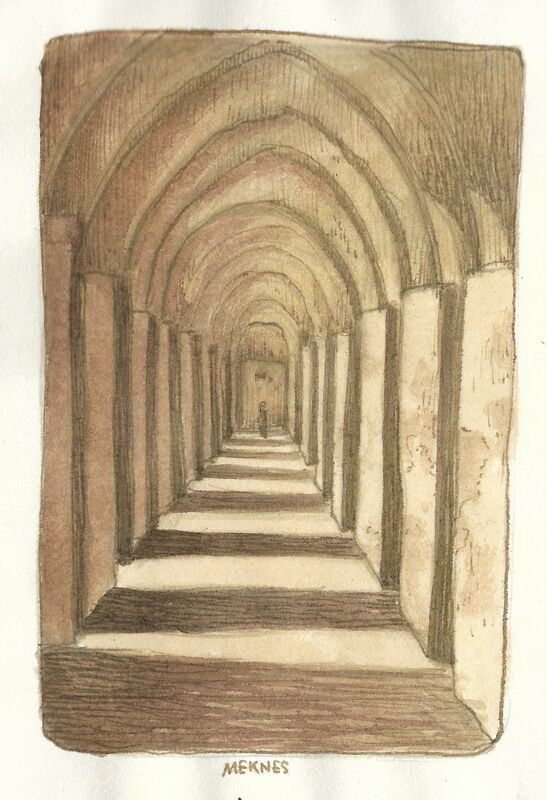 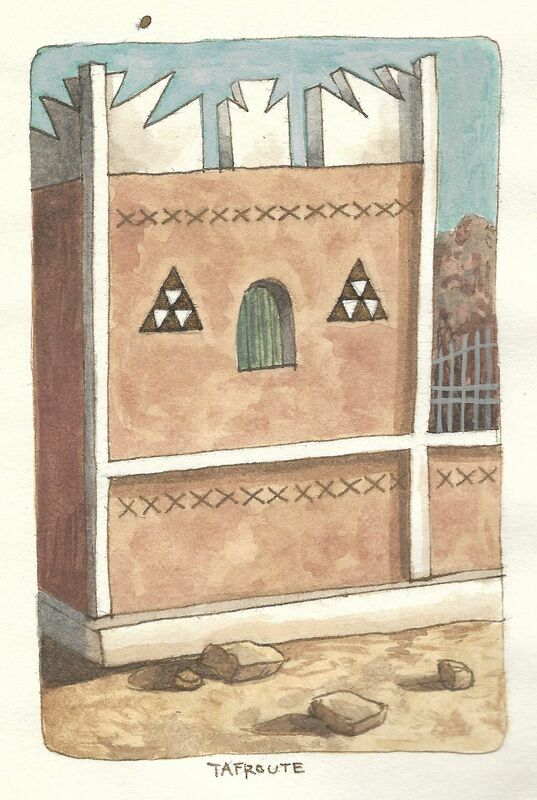 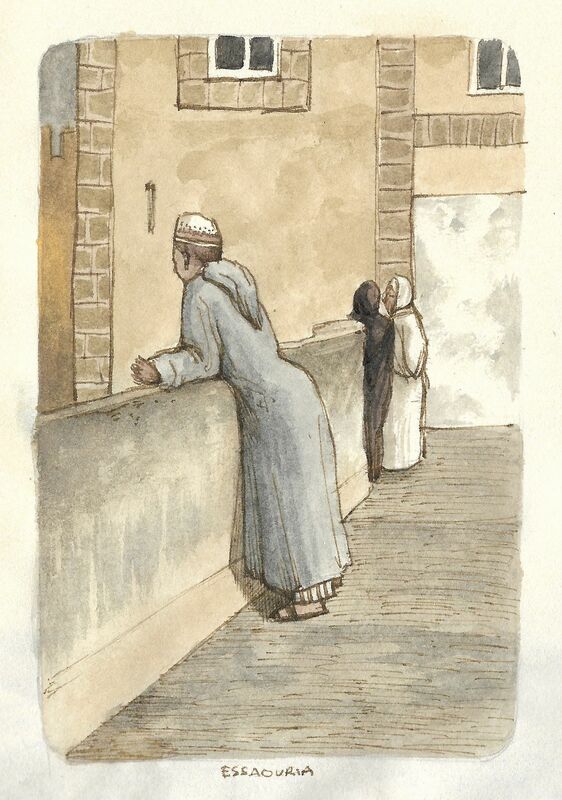 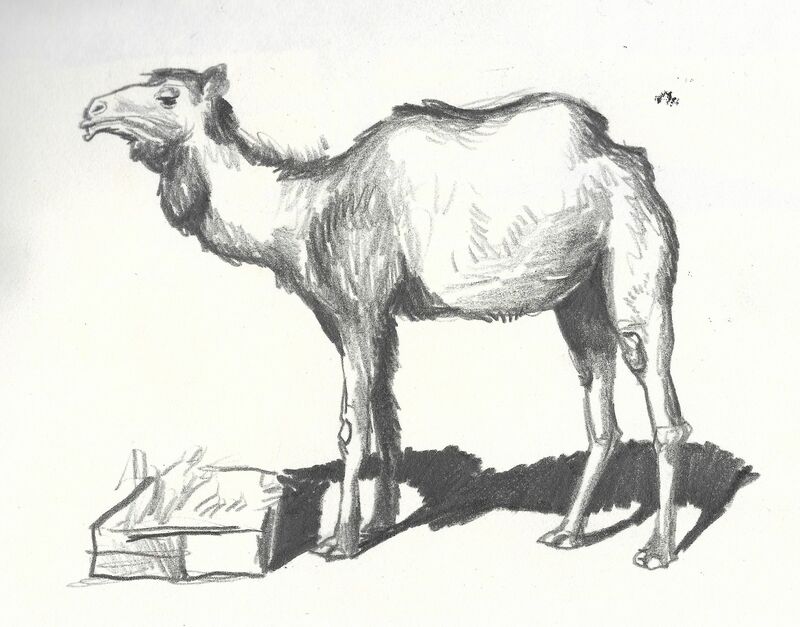 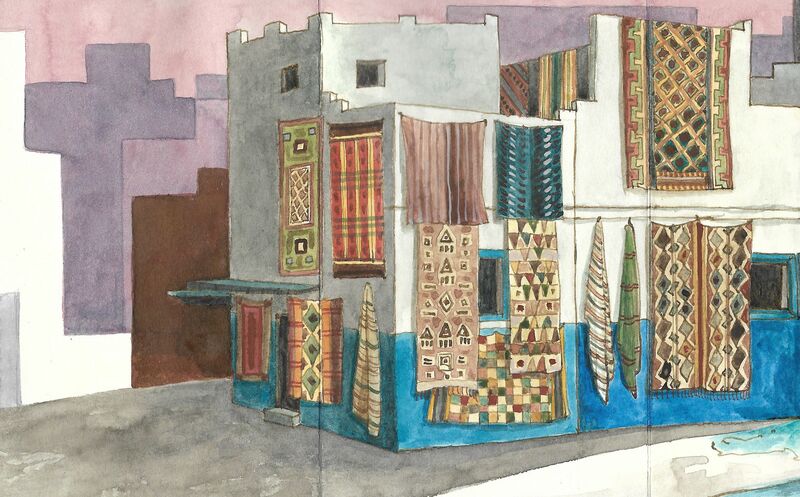 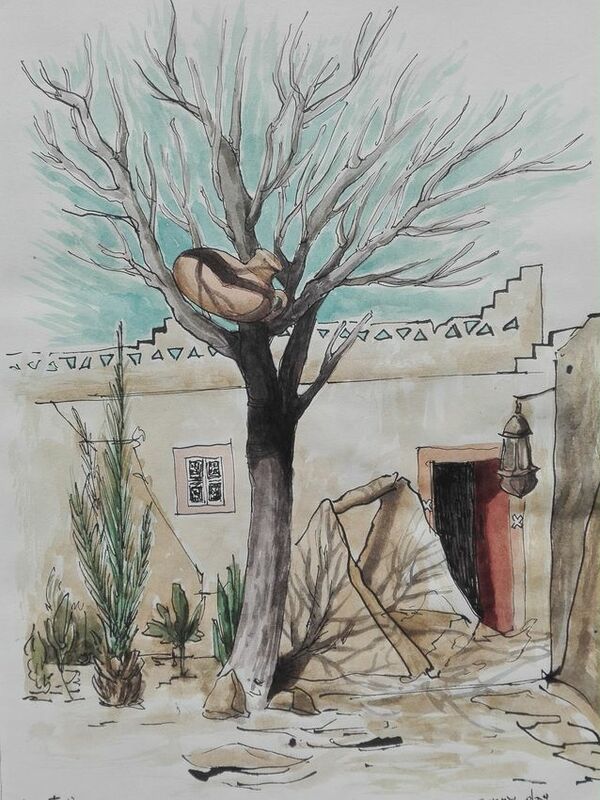 In this section are collected some of the most significant drawings realized between january and march 2017, exploring the country in every aspect, from the Sahara to the Atlas Mountains, from the ancient medinas to all the imperial cities, obviously passing through dozen of colorful souks scattered all around Morocco. 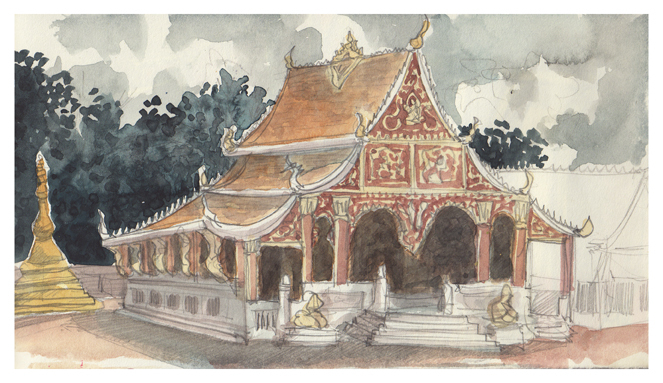 I spent all of 2010 traveling in South East Asia, slowly exploring some of the most beautiful countries in that area. 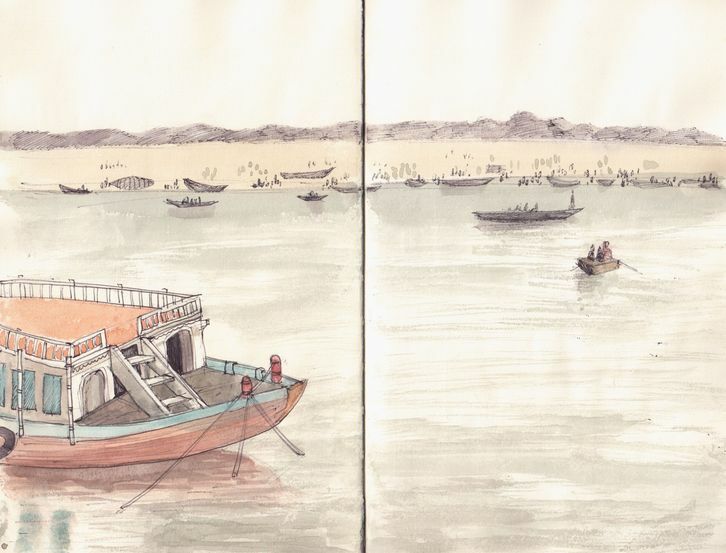 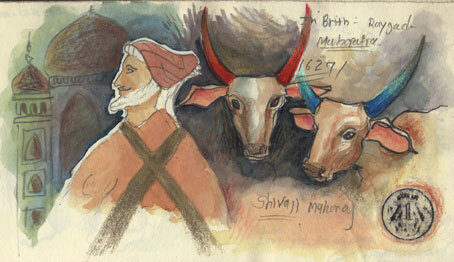 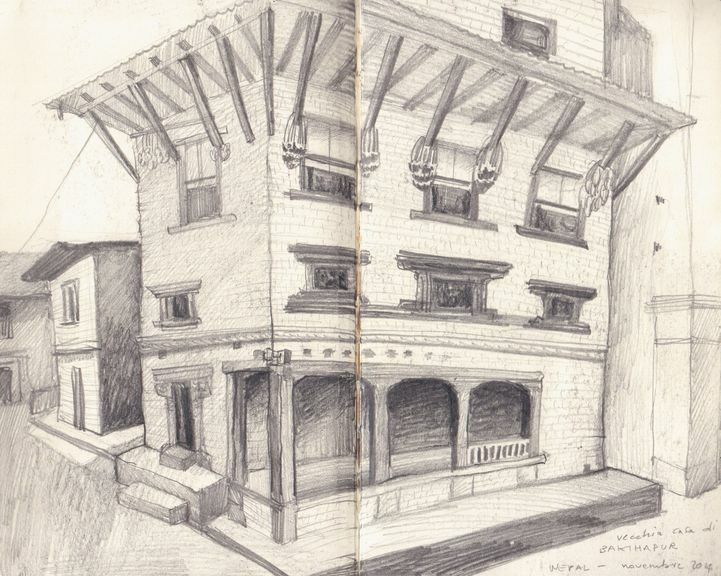 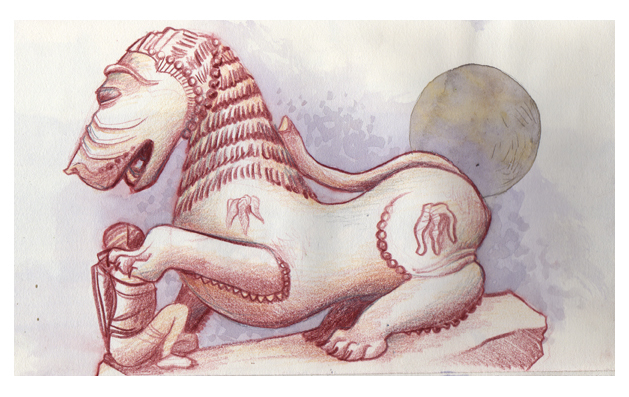 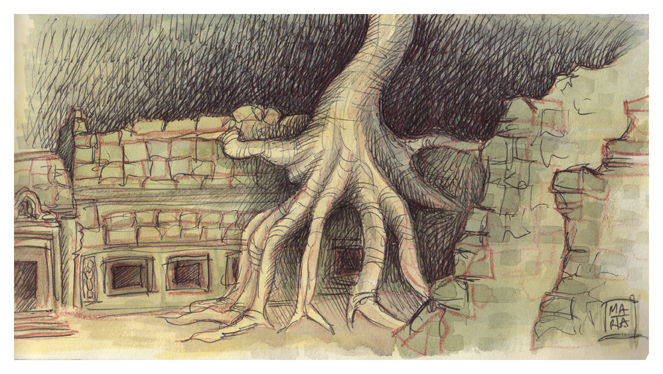 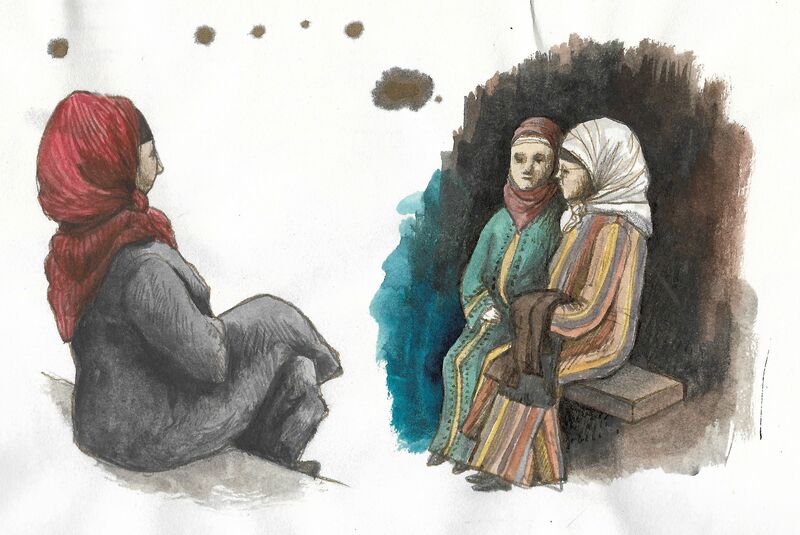 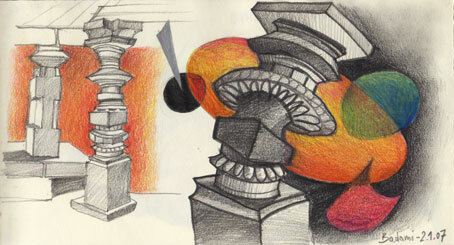 I kept an illustrated diary of the long journey that lasted a whole year: here some of those pages are reproduced. 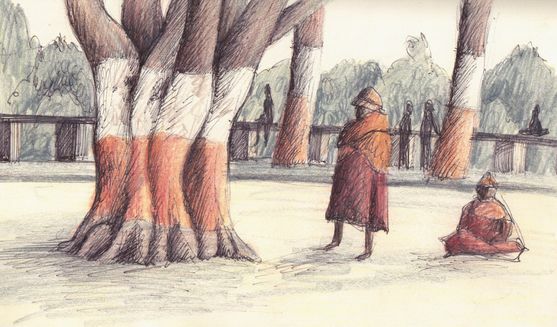 The countries in which I had the luck to live a whole year of my life are: Myanmar, Laos, Cambodia, Vietnam, Indonesia, Malaysia, Thailand, Singapore. 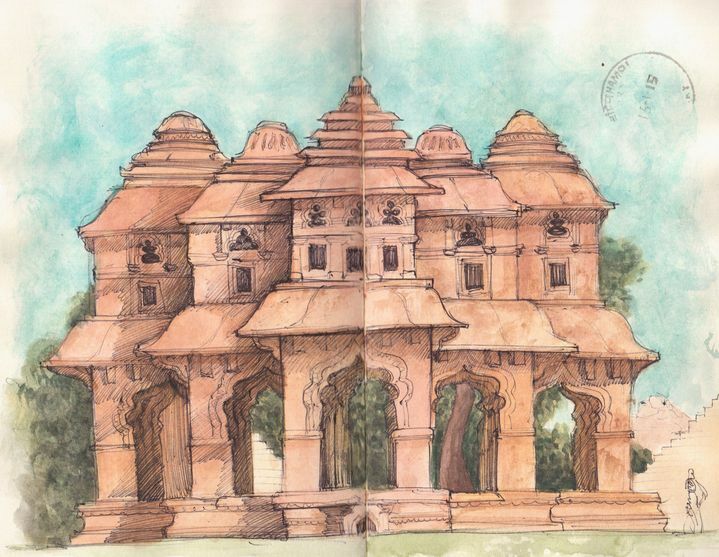 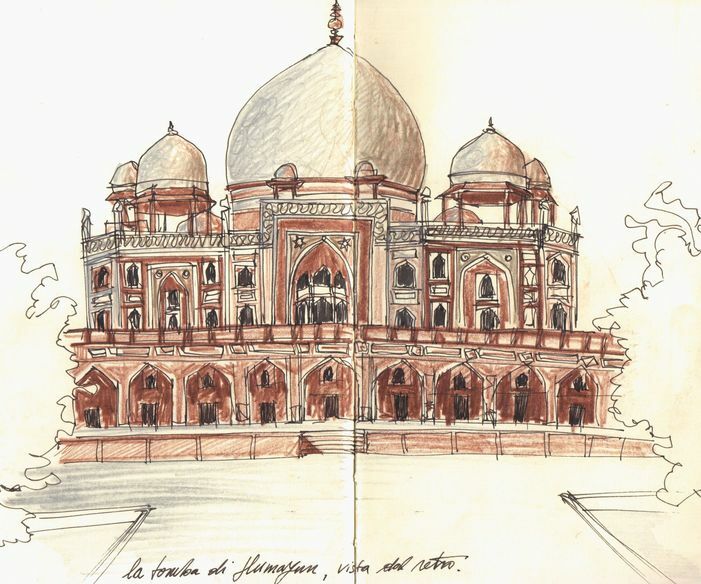 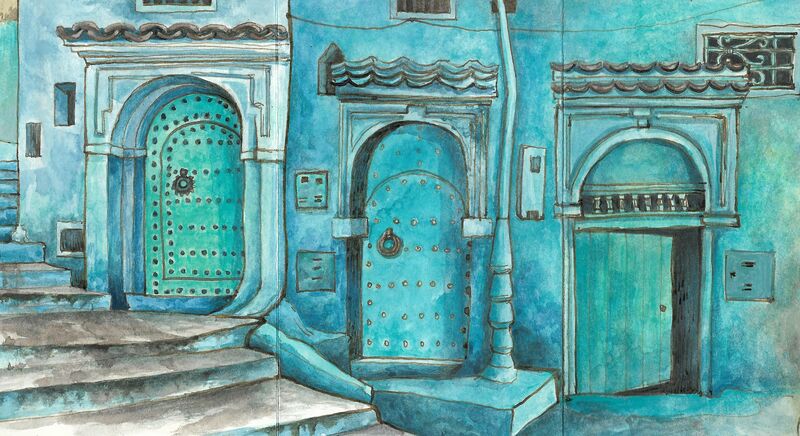 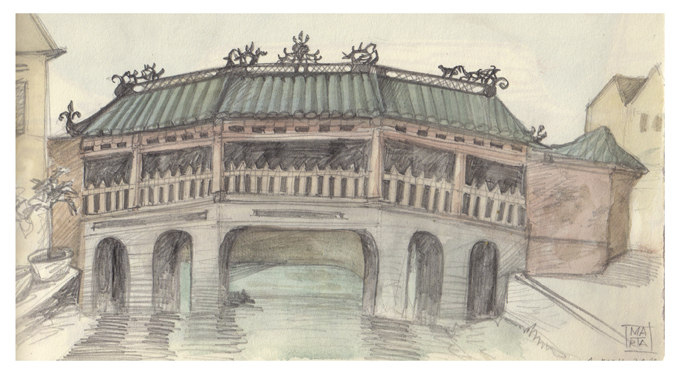 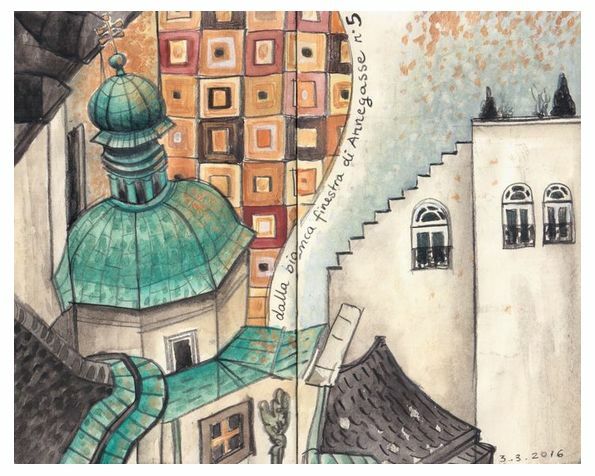 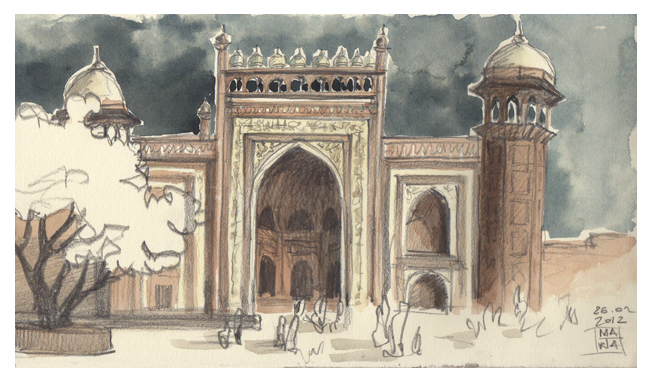 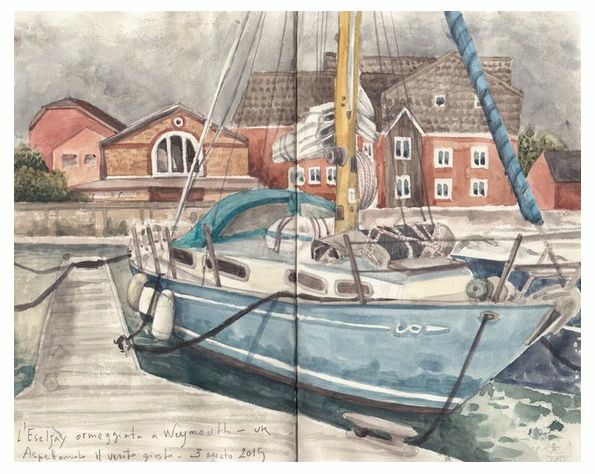 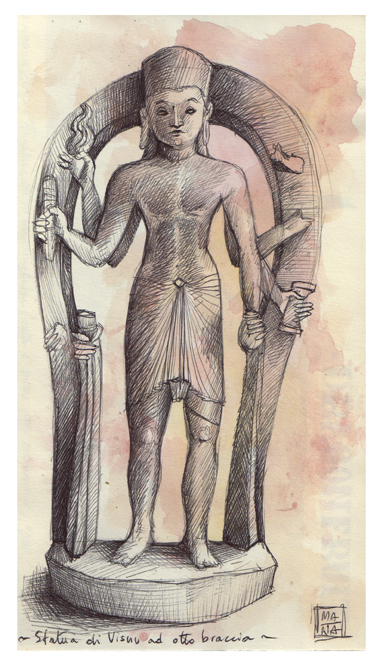 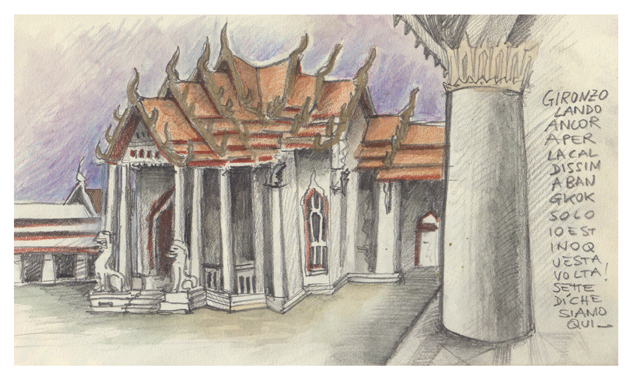 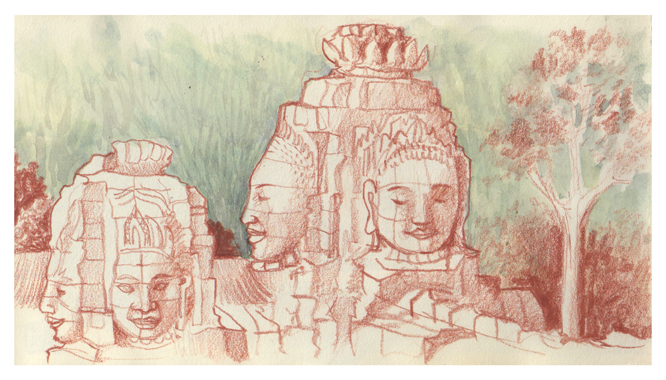 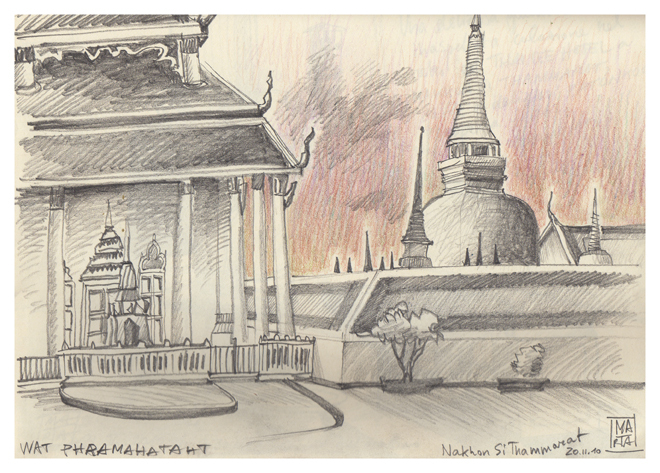 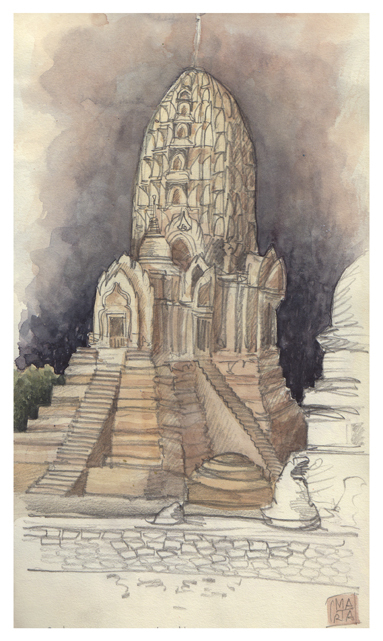 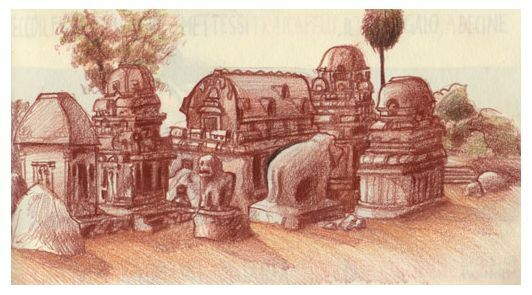 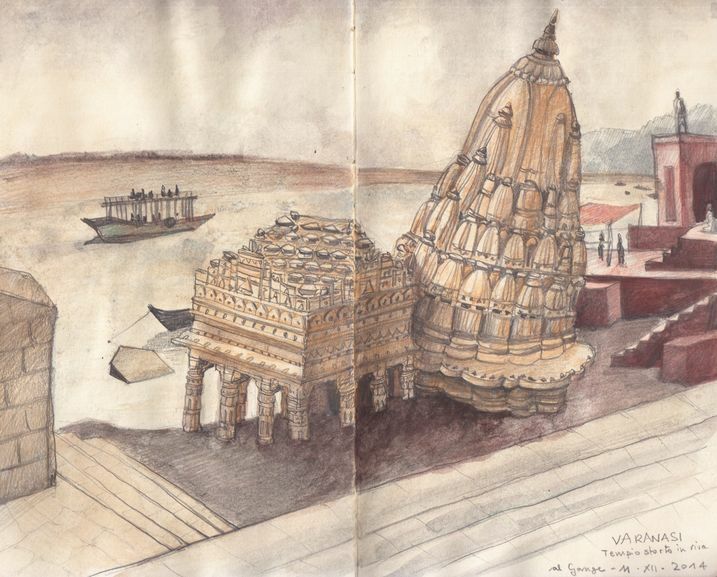 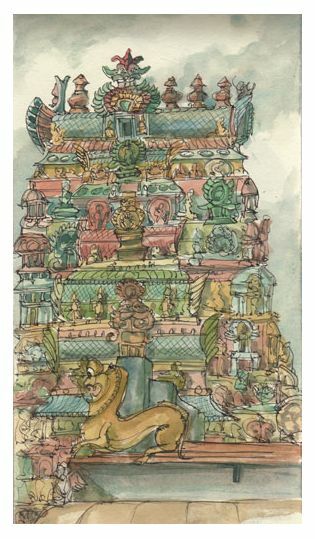 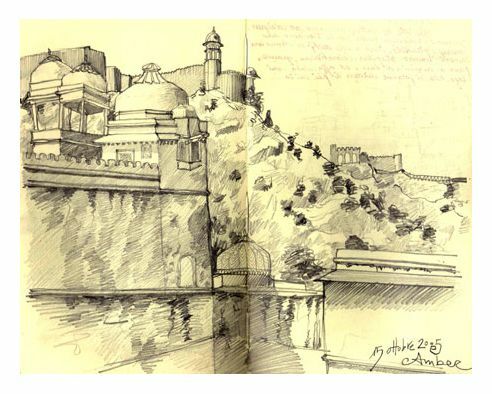 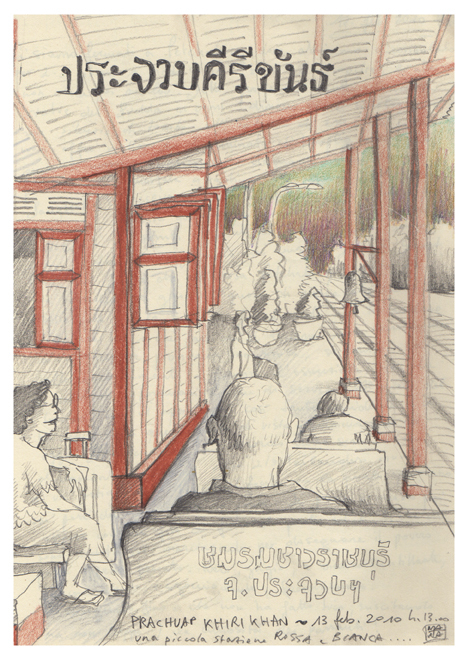 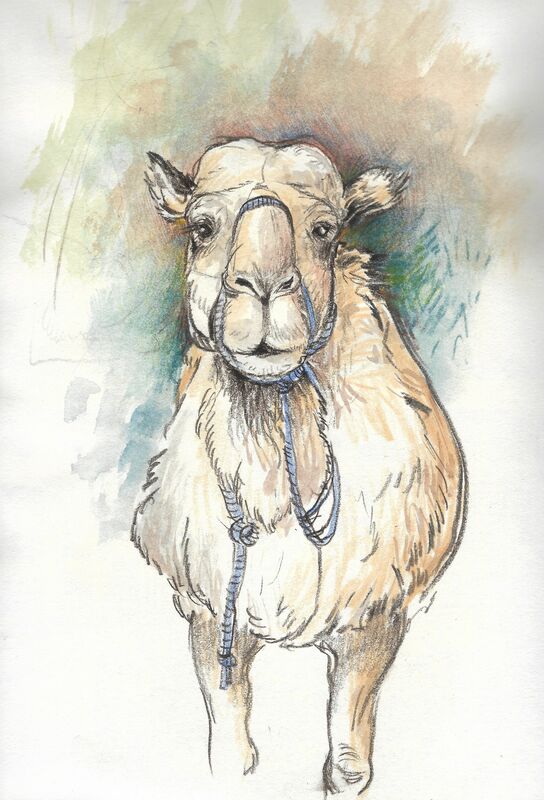 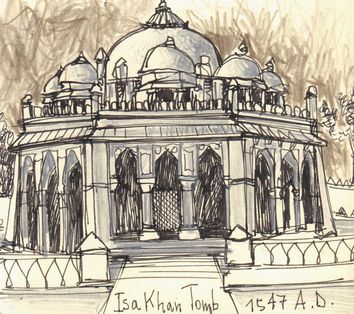 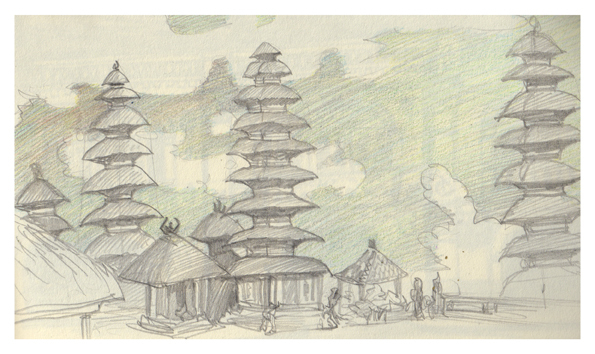 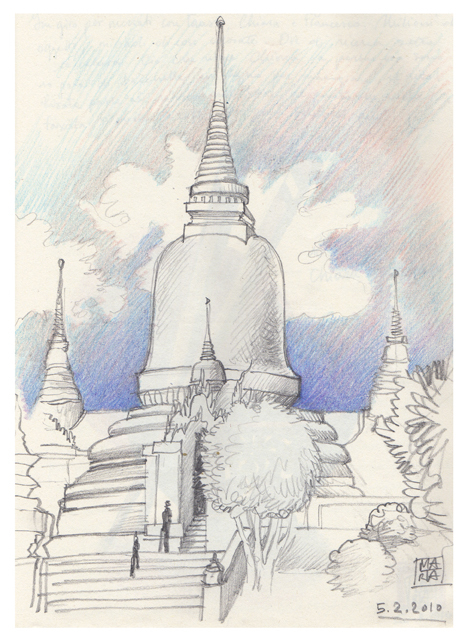 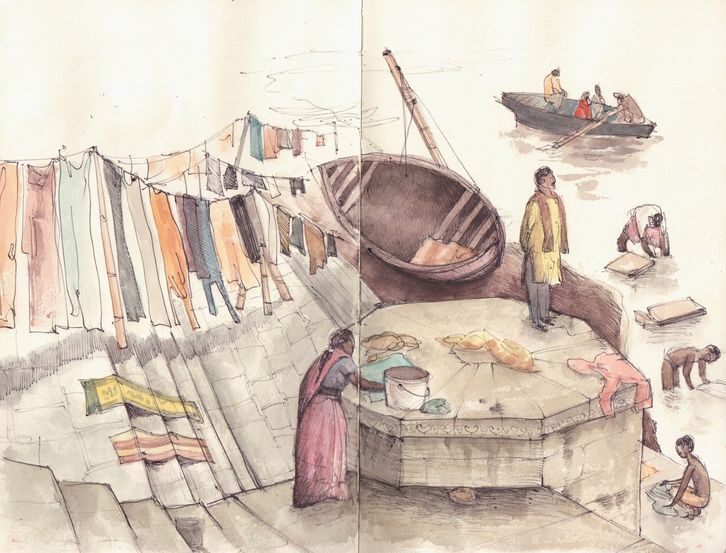 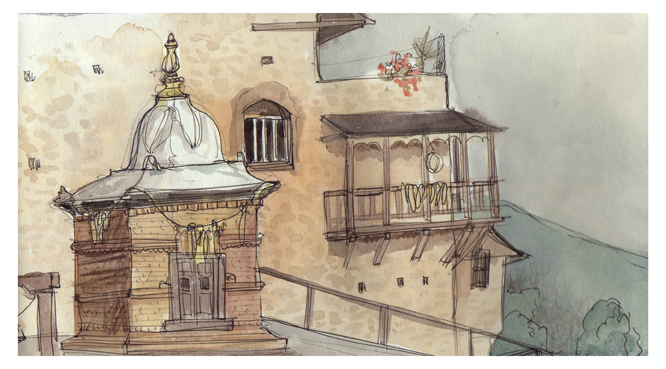 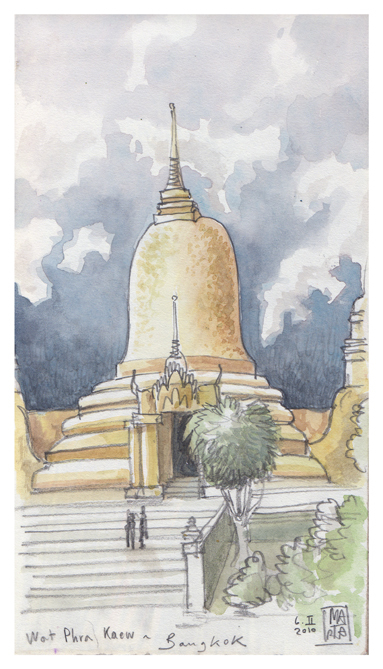 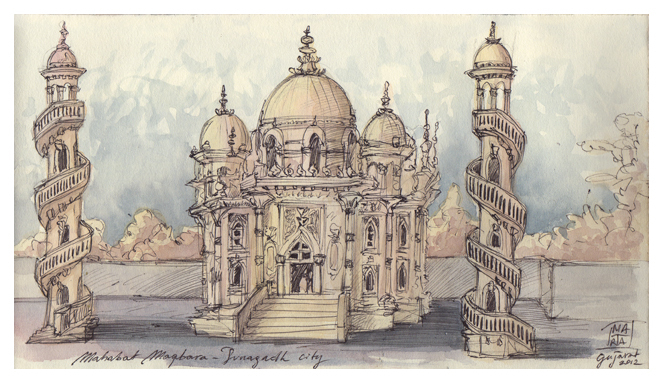 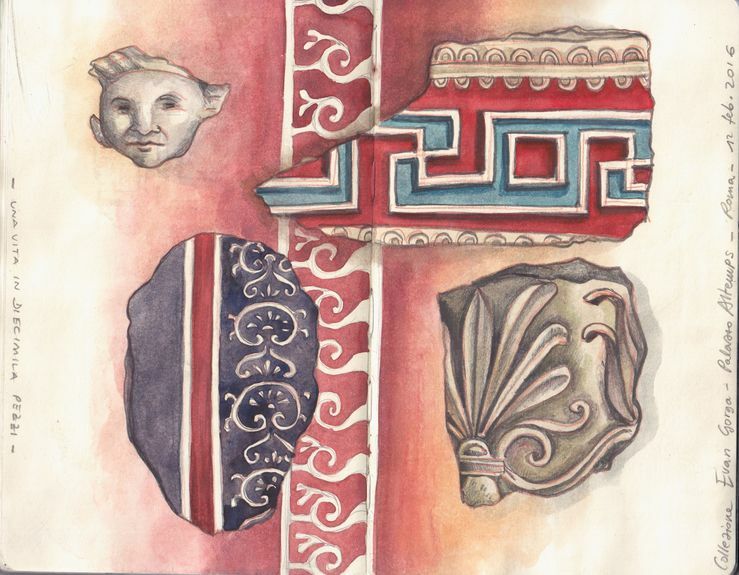 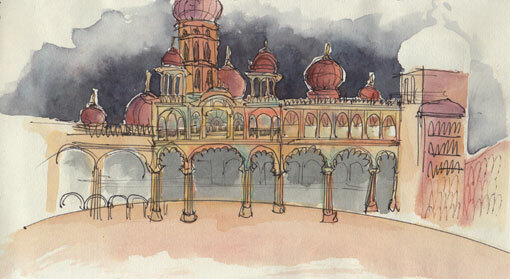 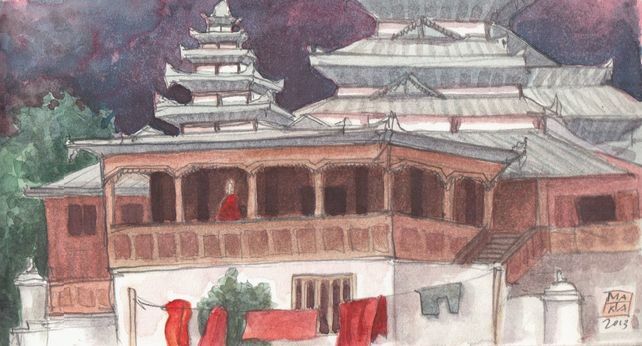 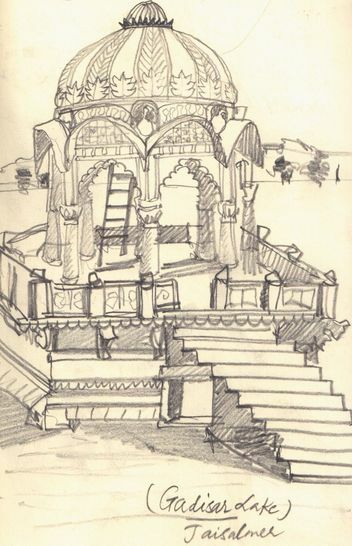 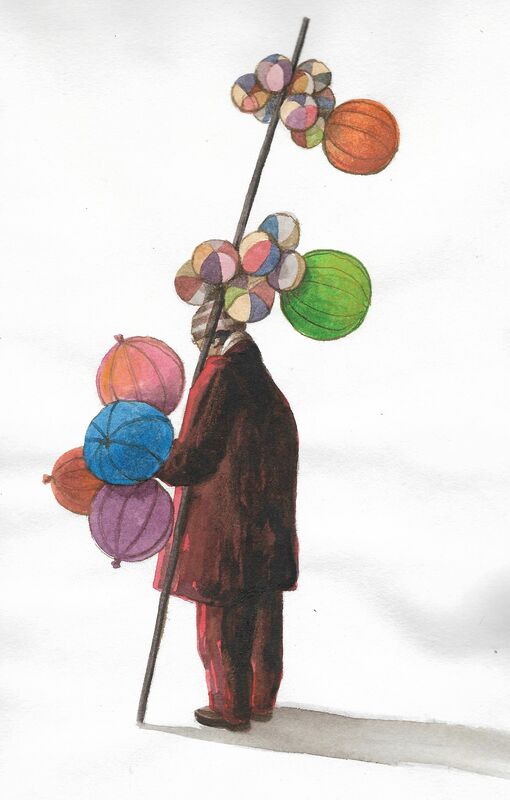 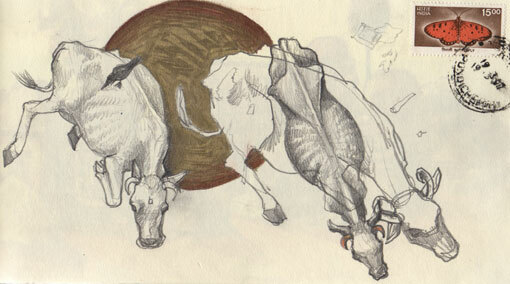 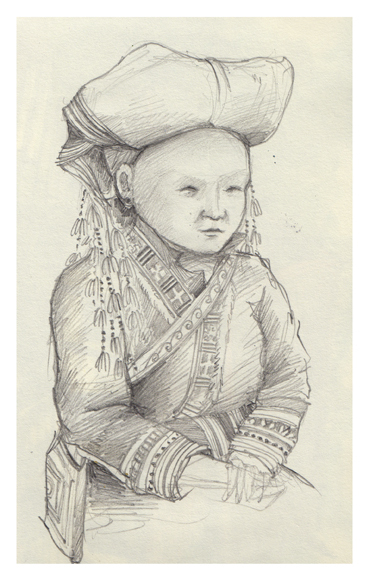 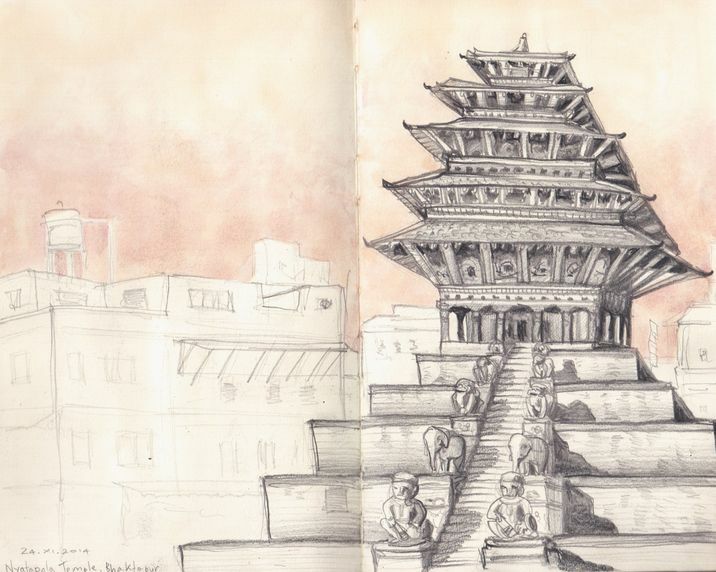 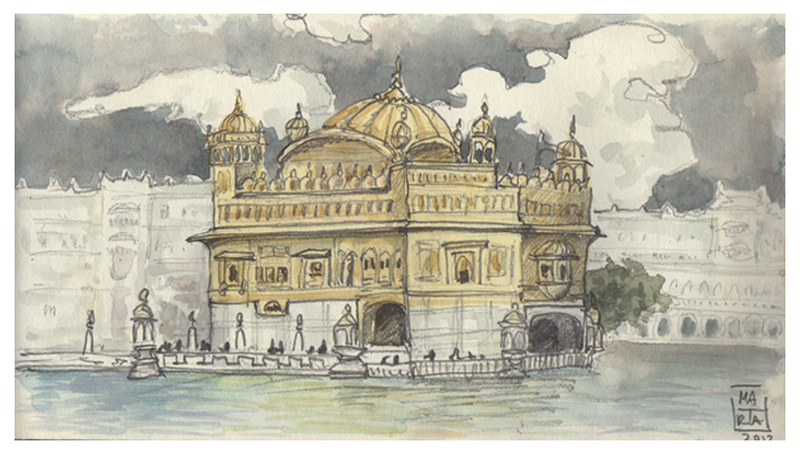 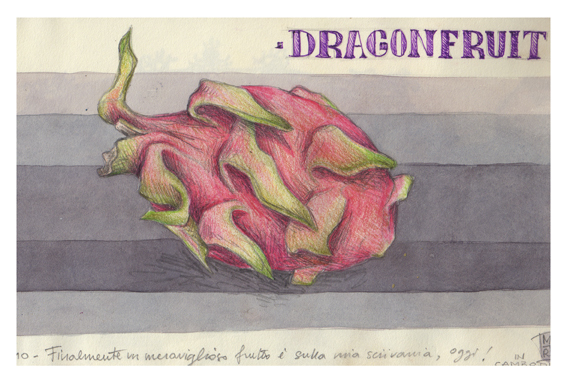 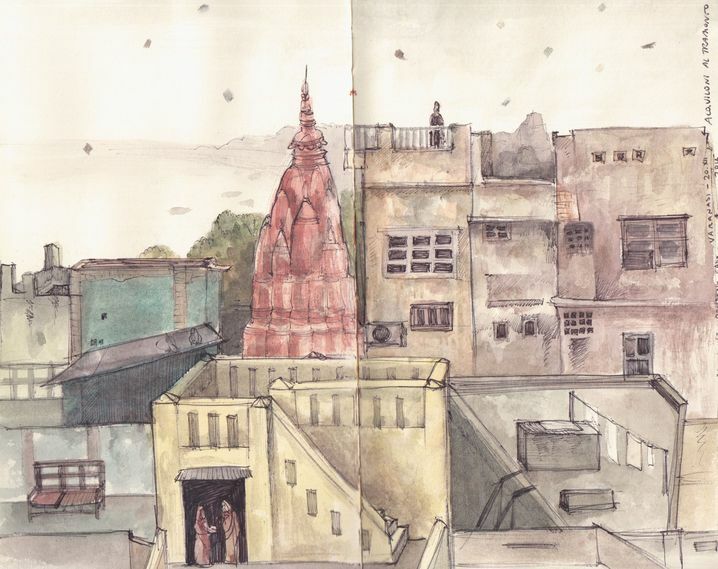 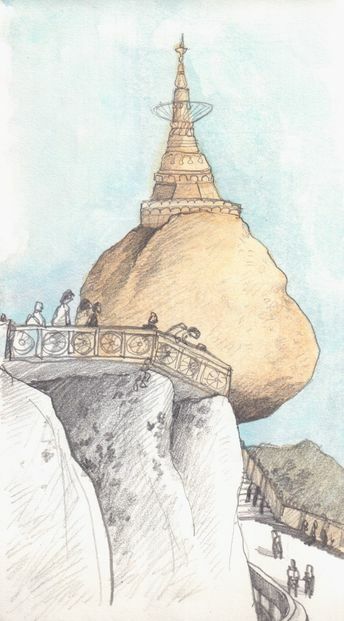 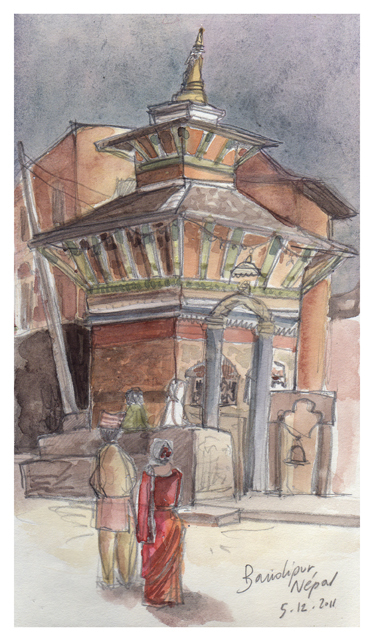 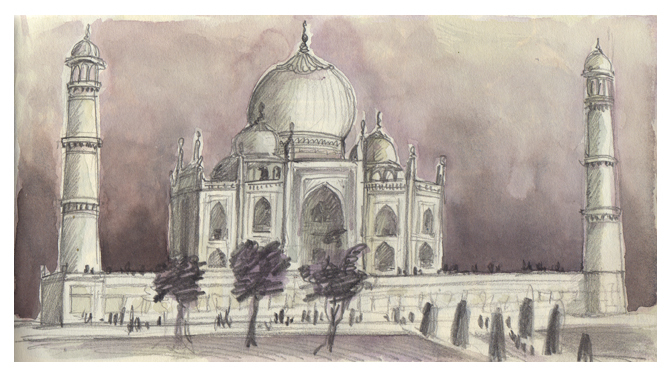 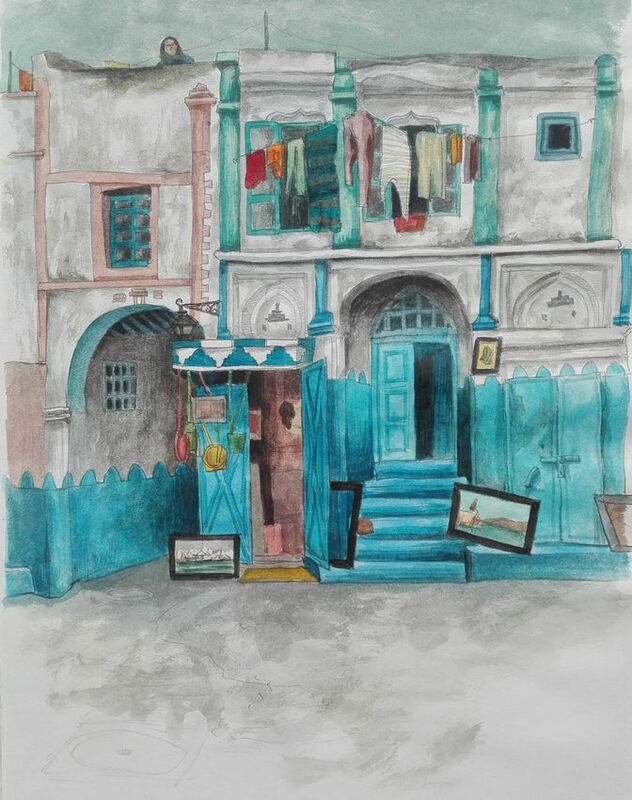 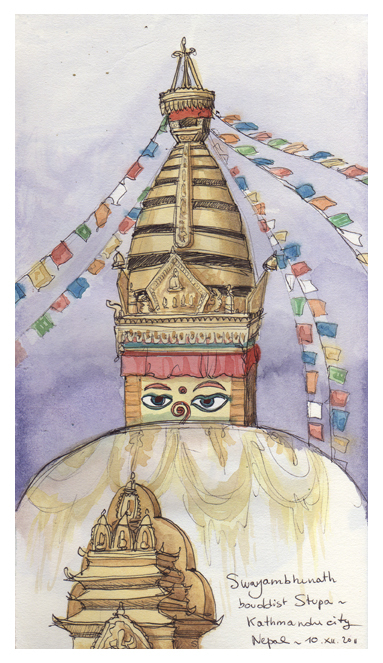 In this section are collected some of the most significant travel drawings made between 2005 and 2015 in Asia, using small sketchbook and mainly watercolors, pens and pencils. 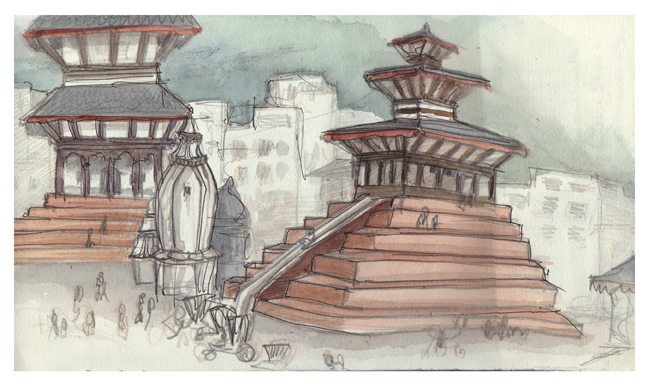 Nepal and India are countries that I visited many times and I adore both countries, especially my beloved India. 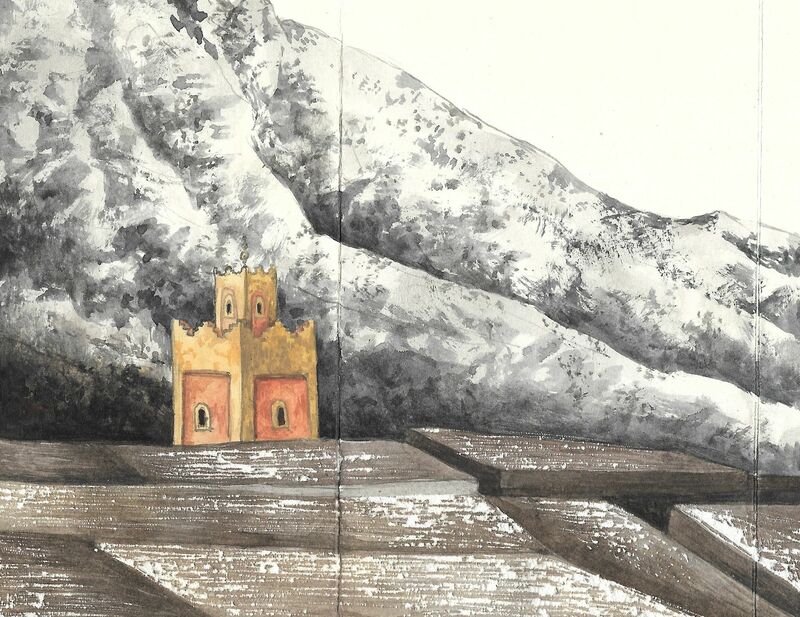 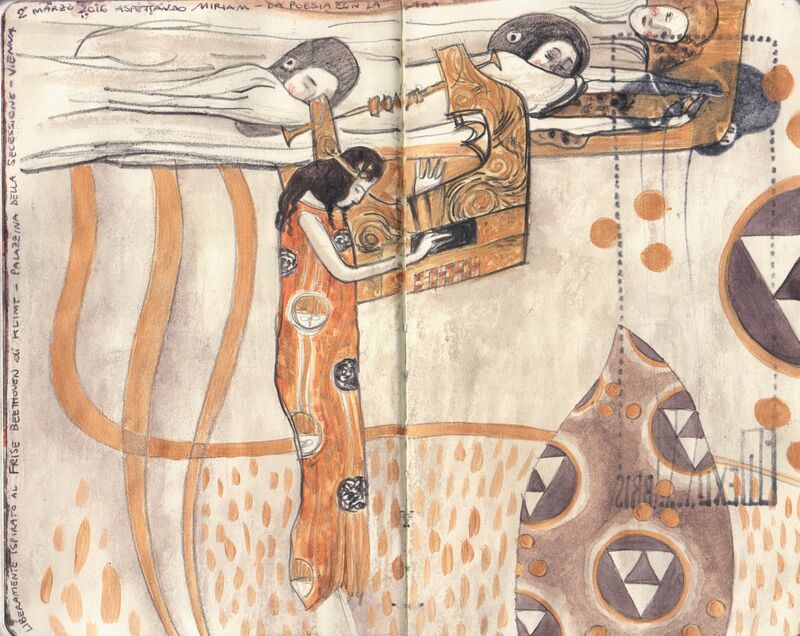 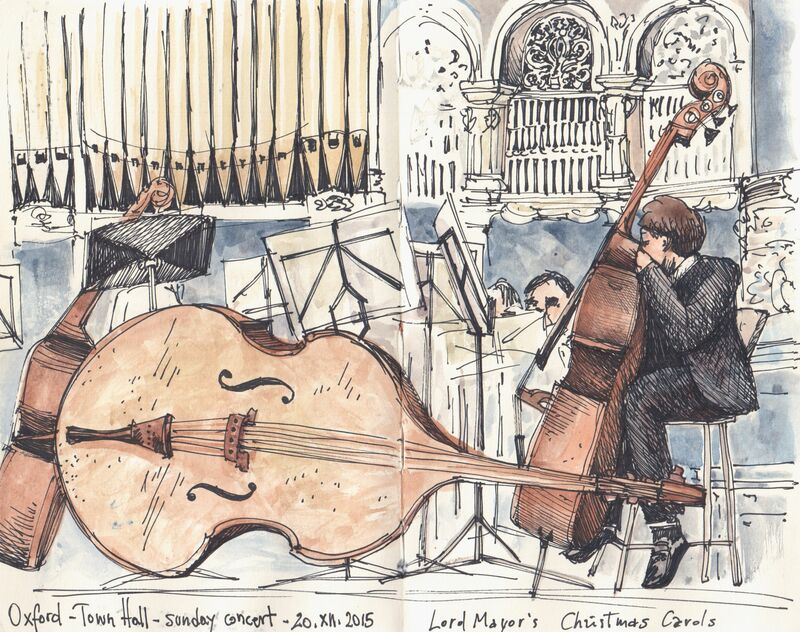 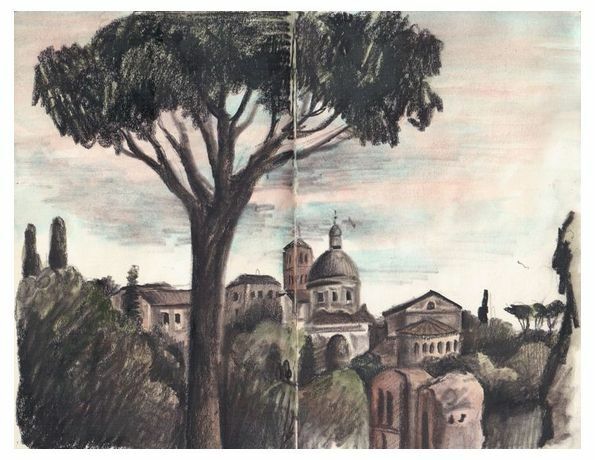 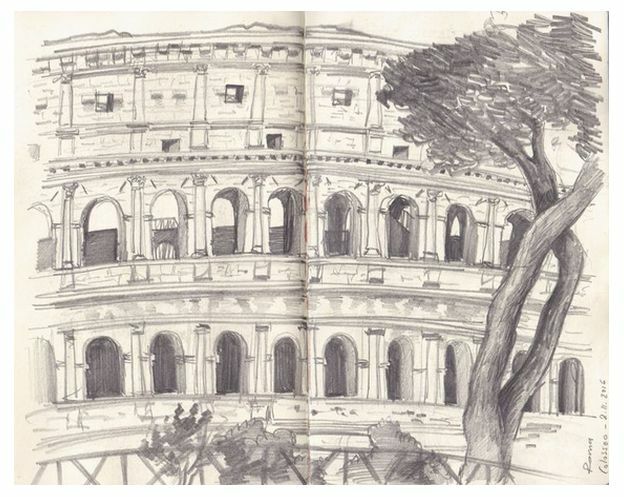 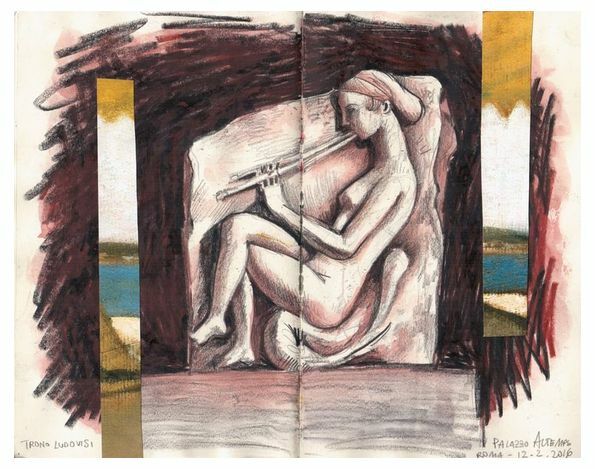 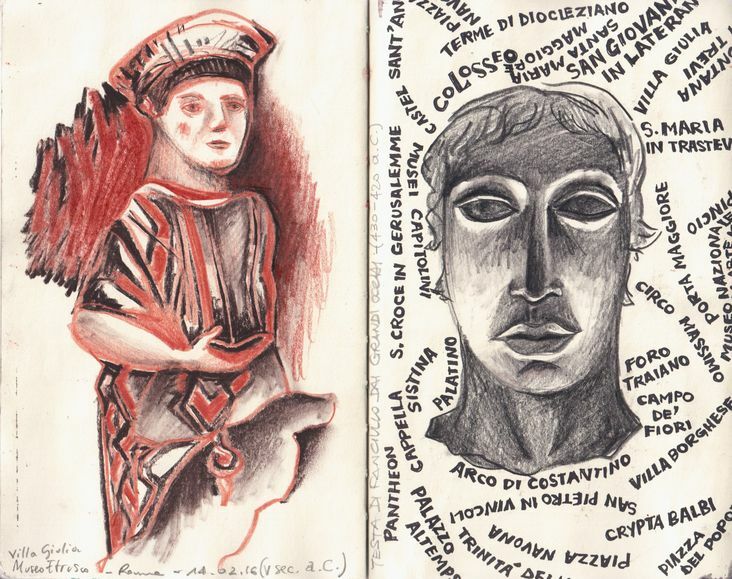 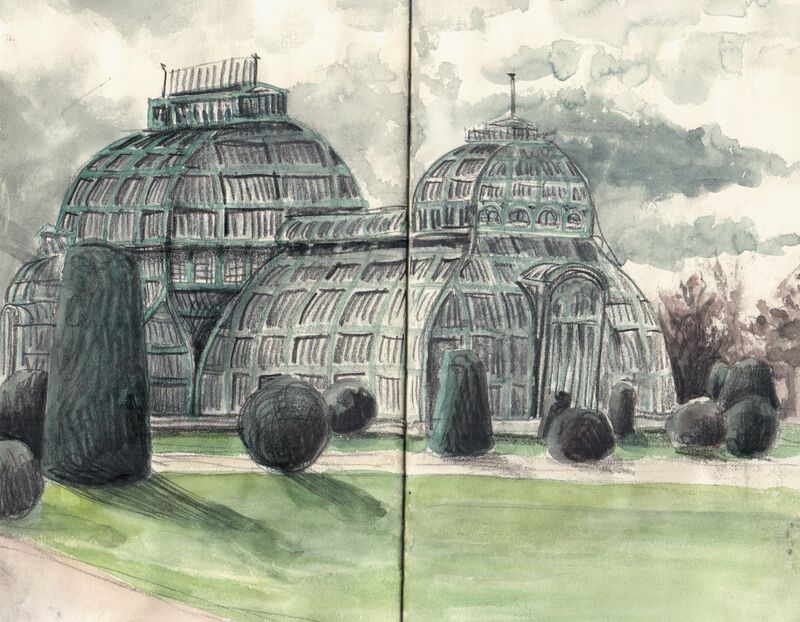 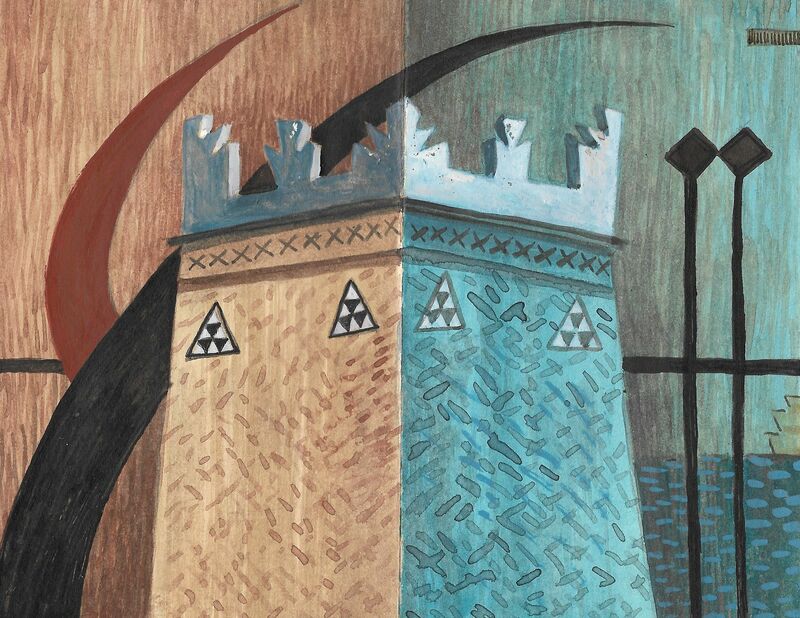 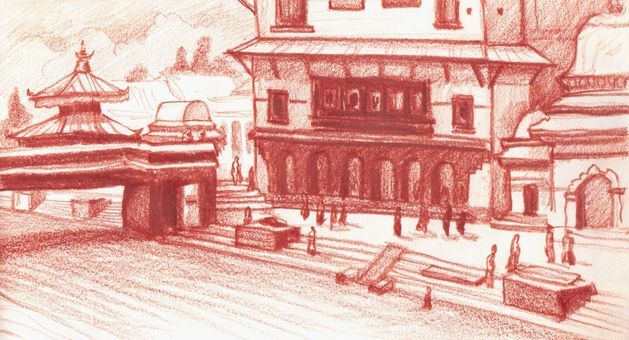 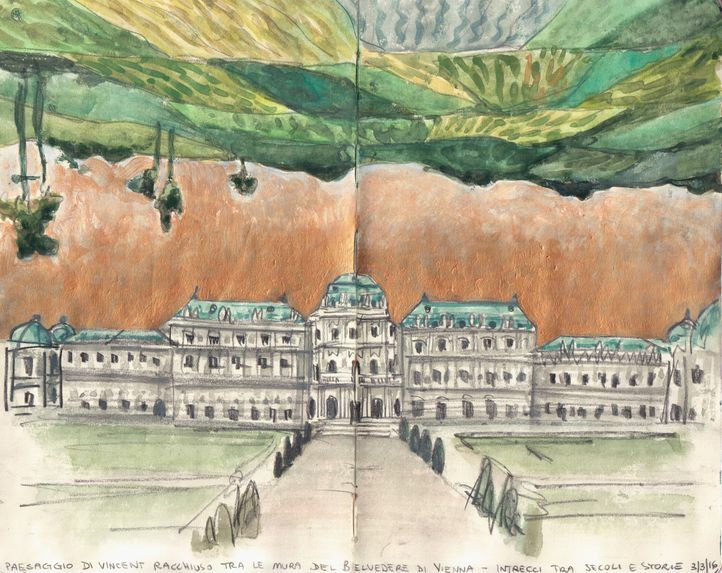 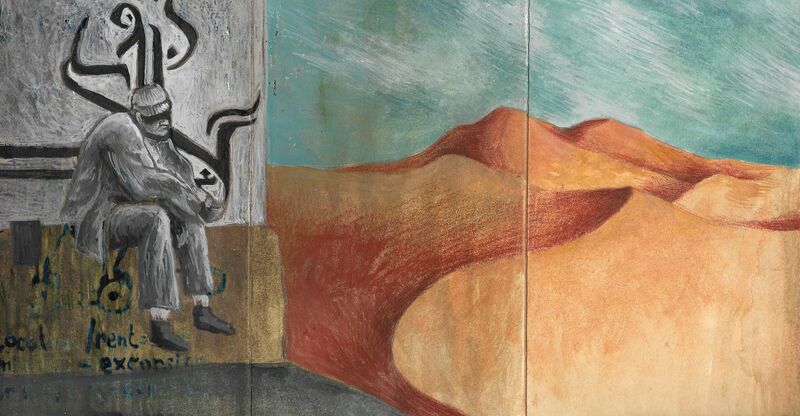 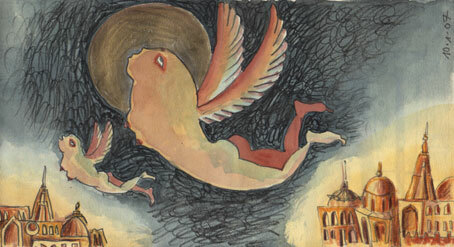 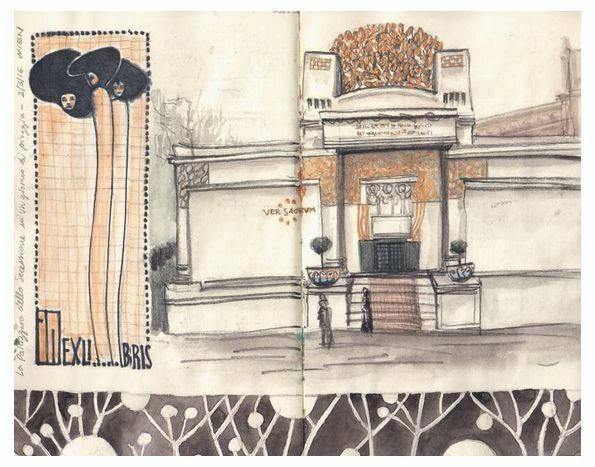 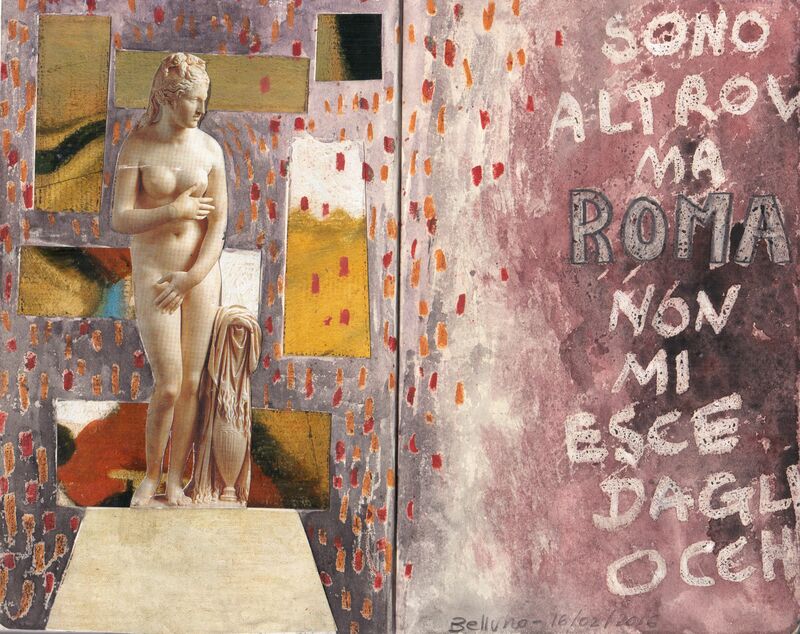 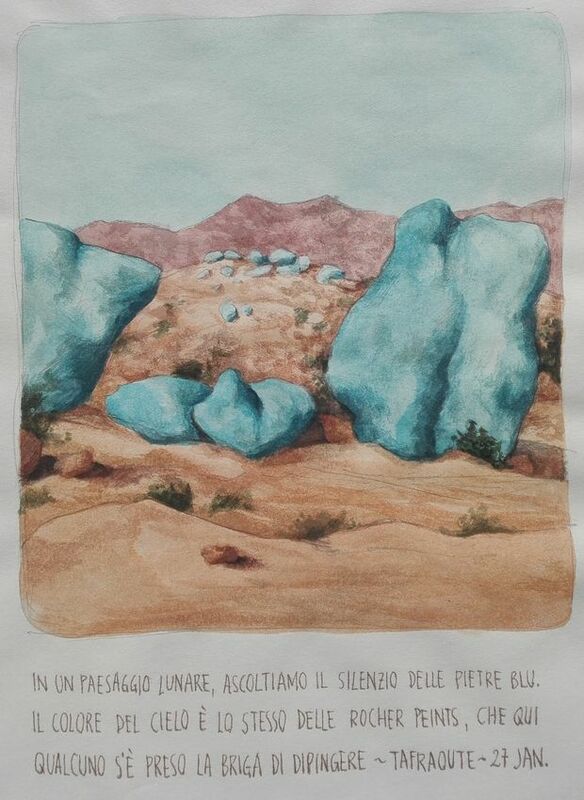 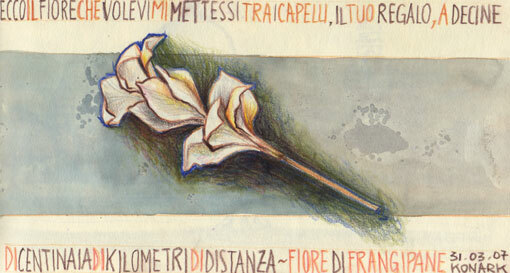 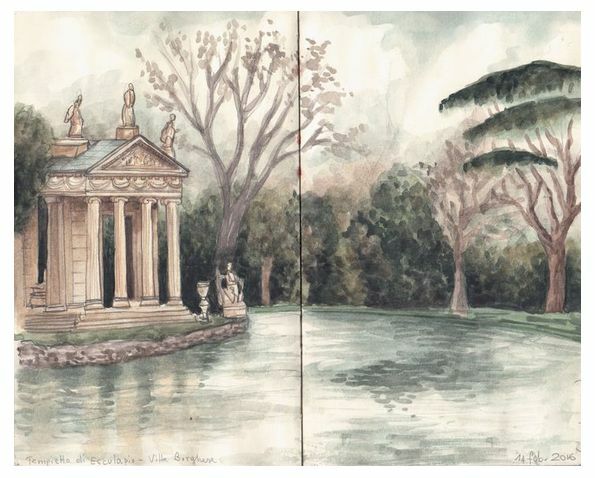 In this section are collected some of the most significant travel drawings realized between 2015 and 2016 in Europe, made in Italy, Uk, Austria and France.